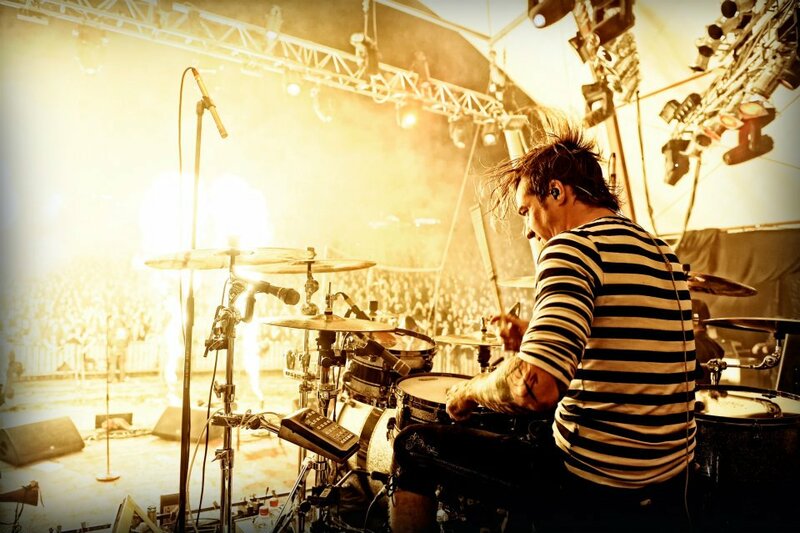 Specki T.D. 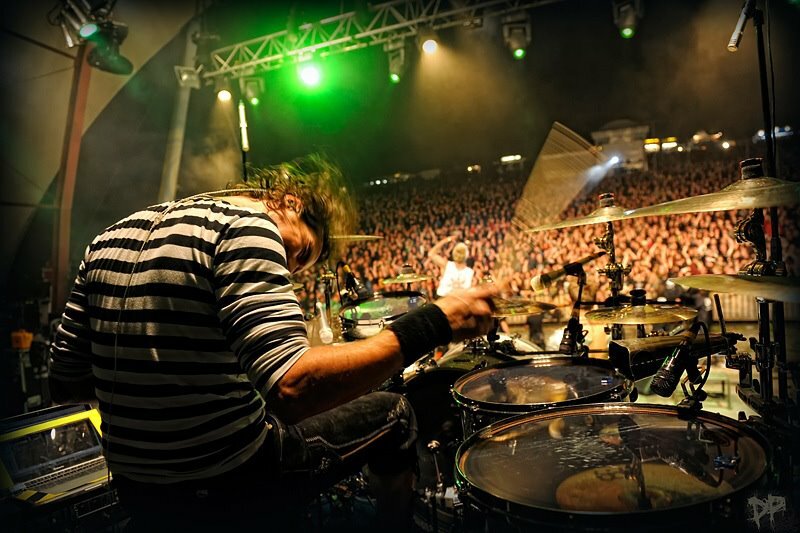 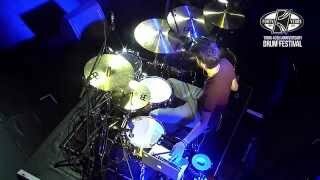 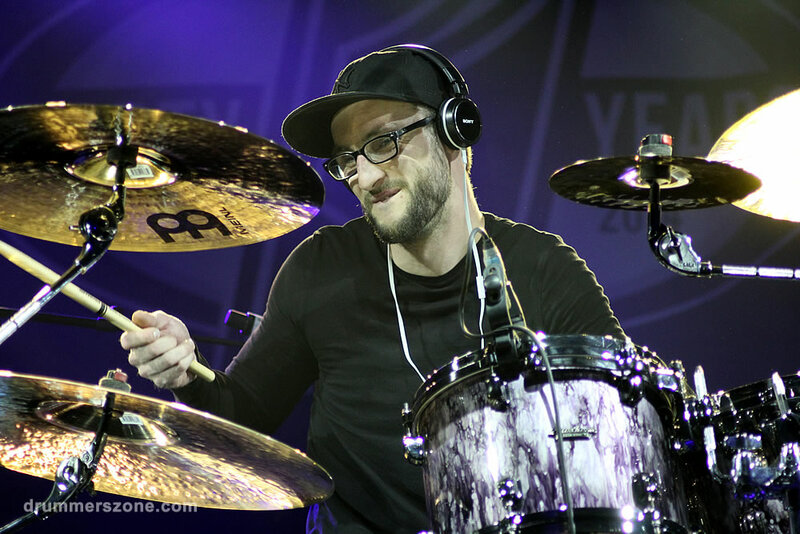 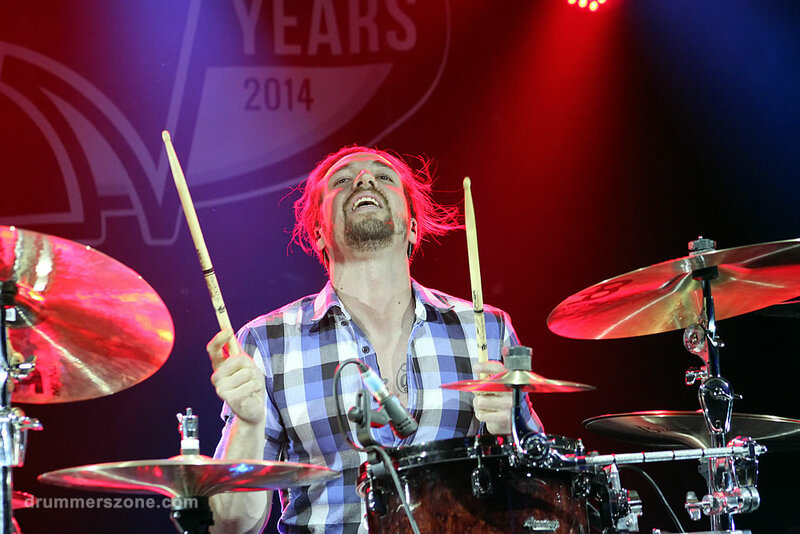 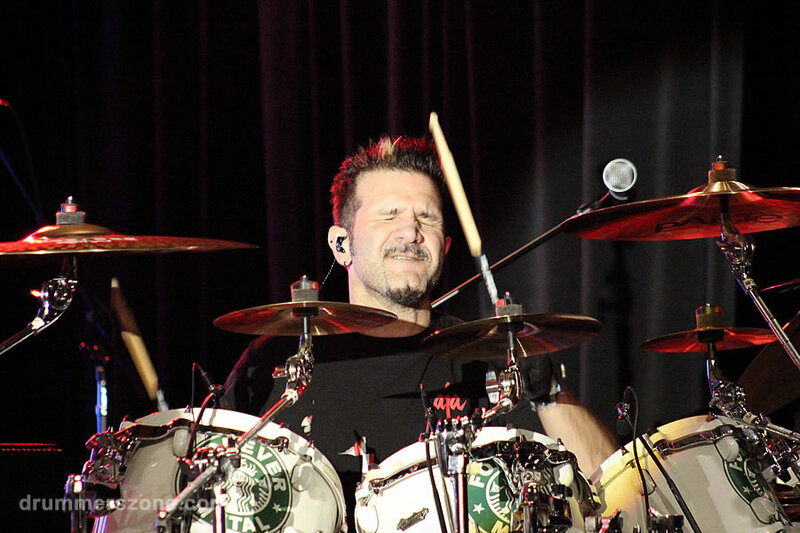 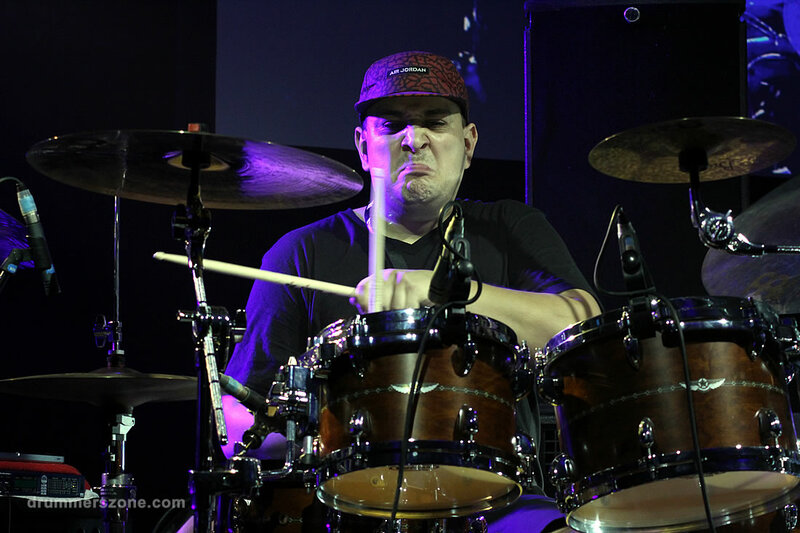 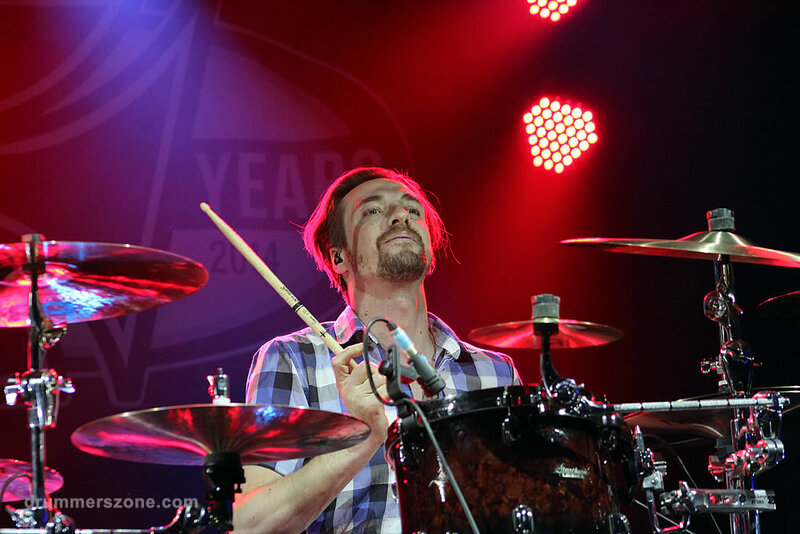 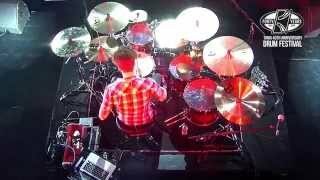 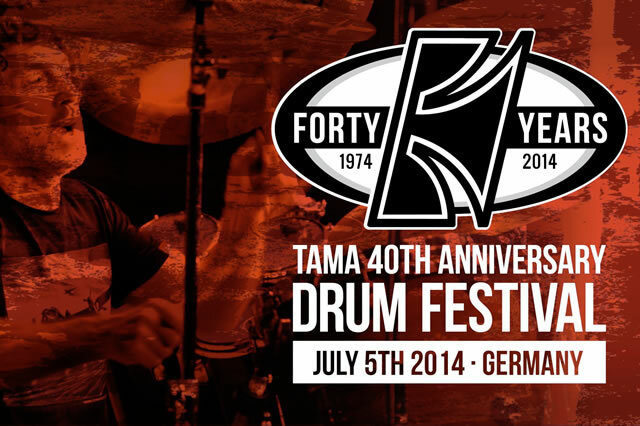 (Florian Speckardt) performing at the Tama 40th Anniversary Drum Festival. 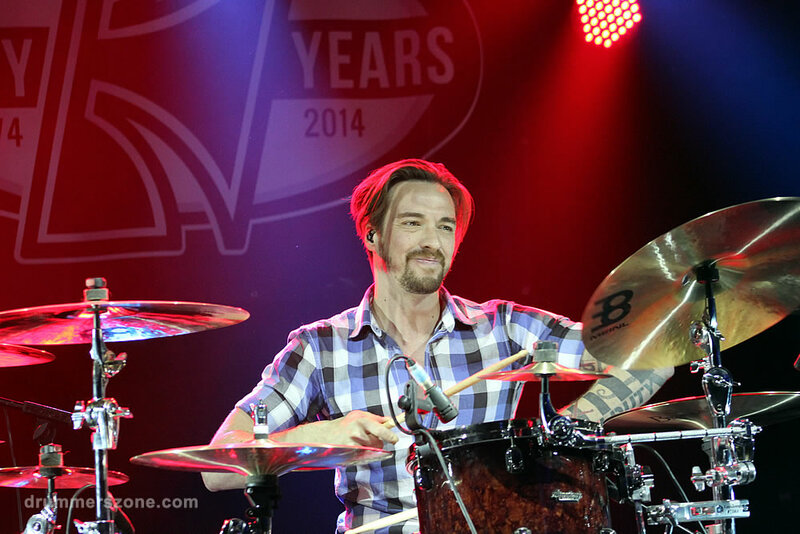 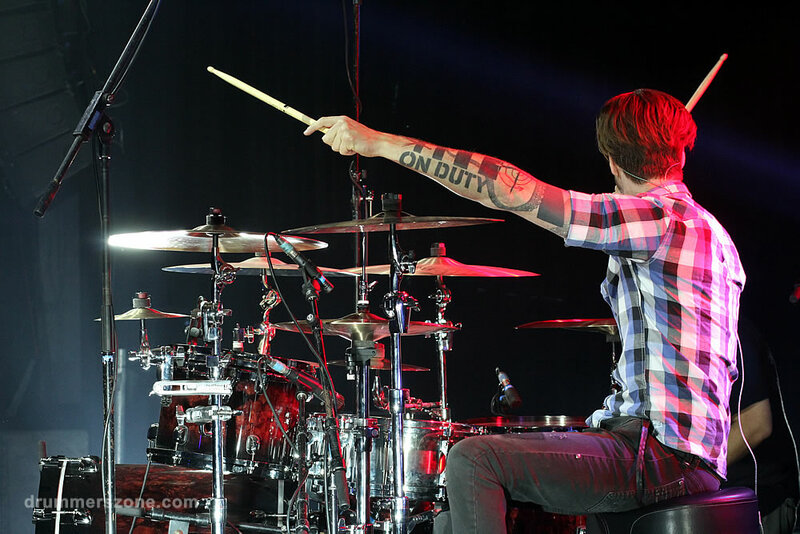 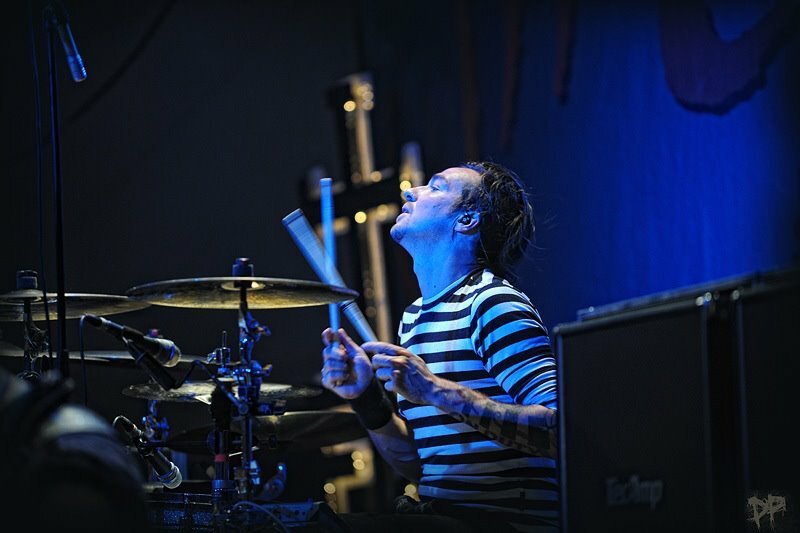 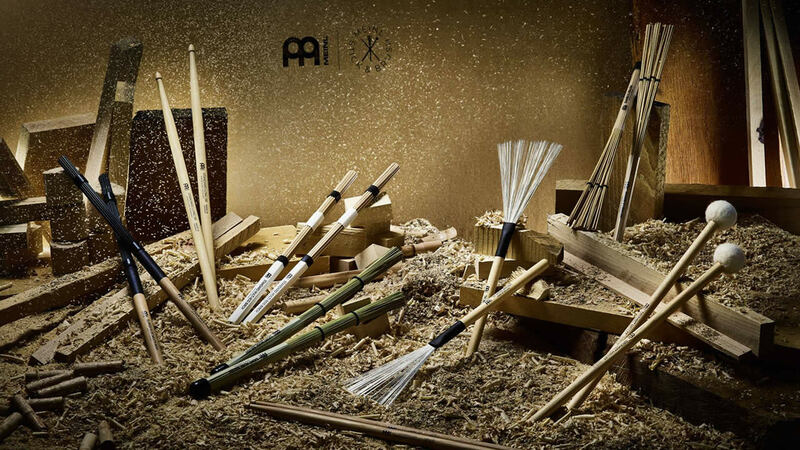 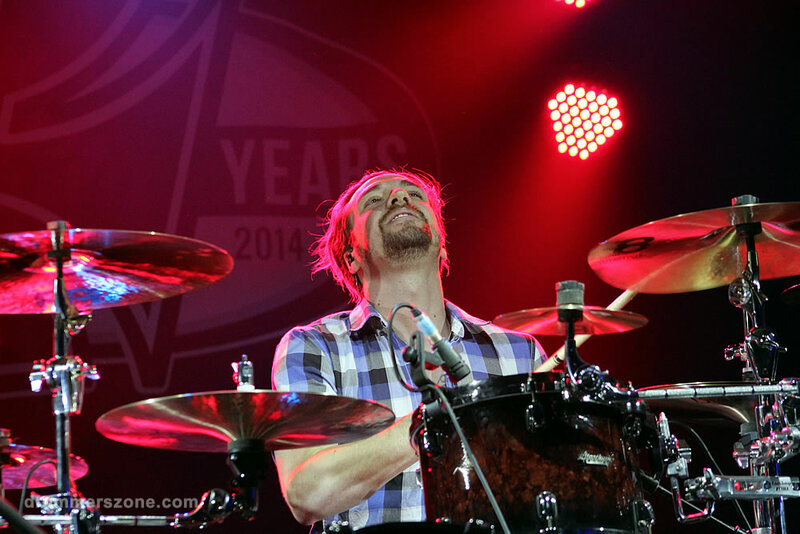 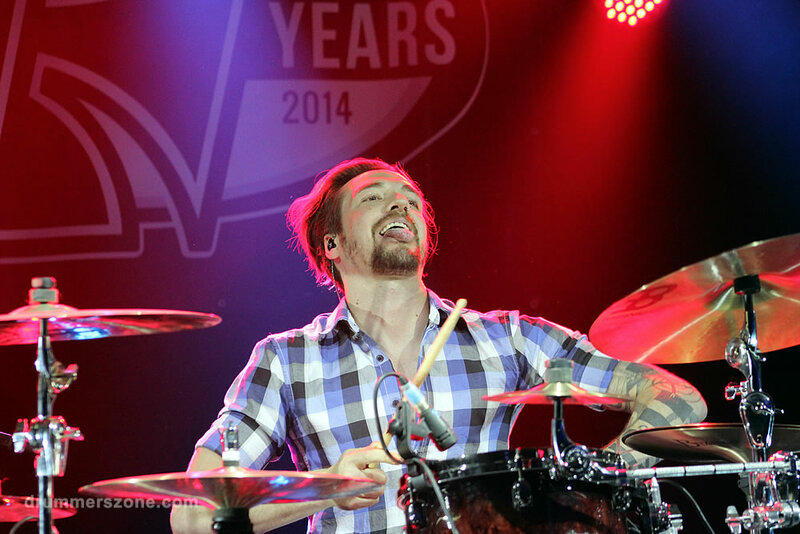 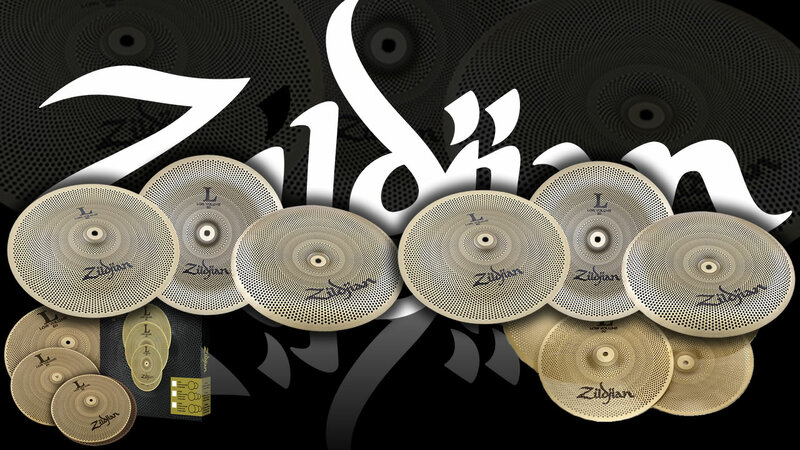 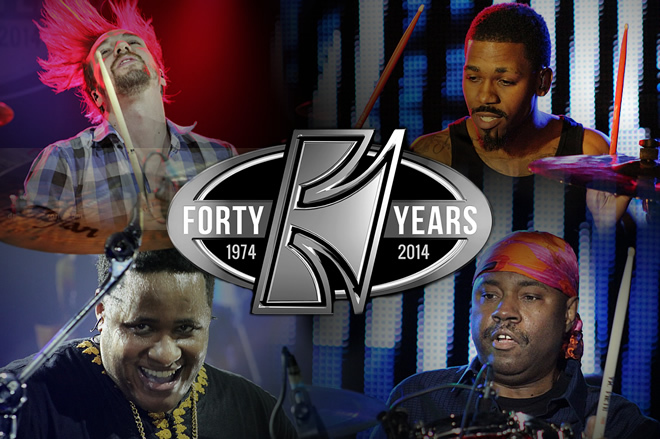 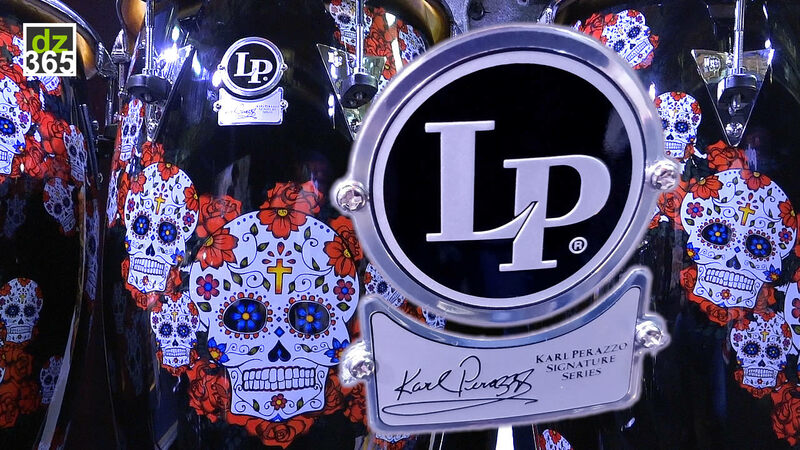 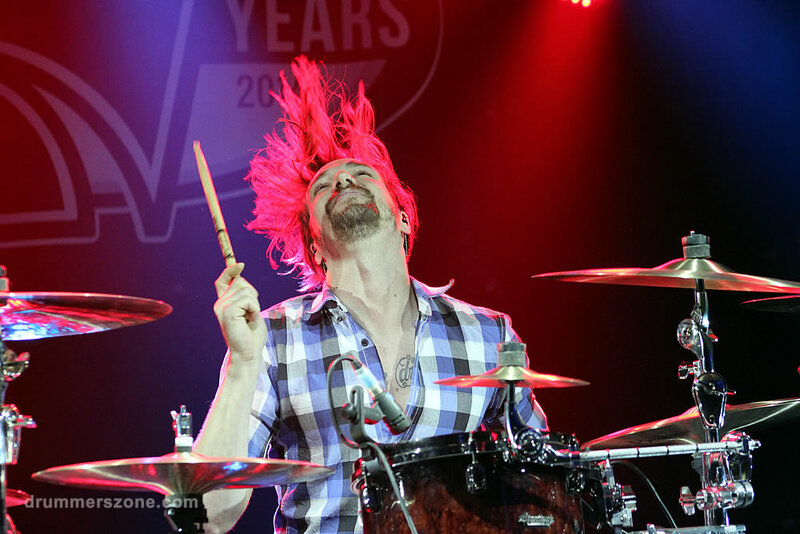 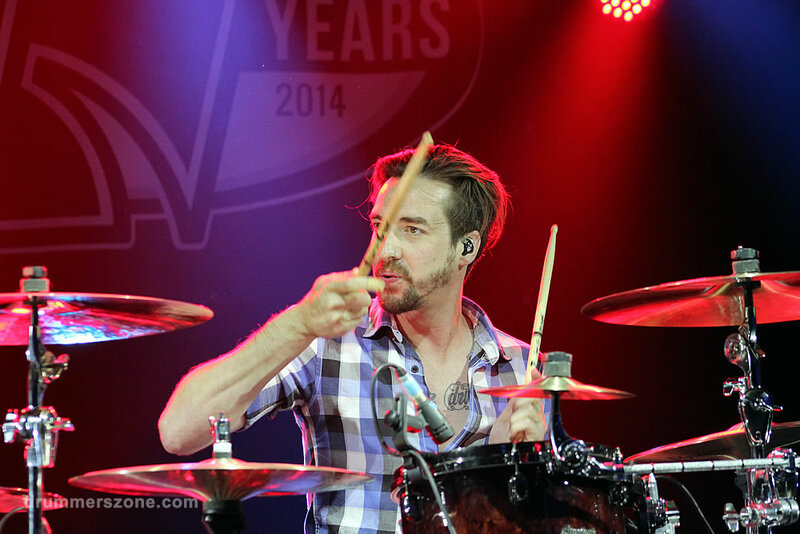 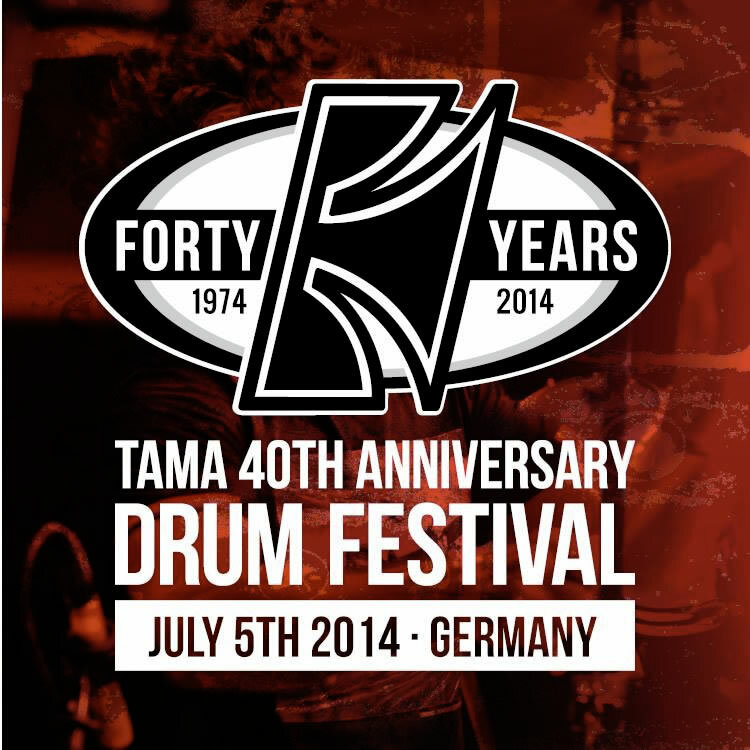 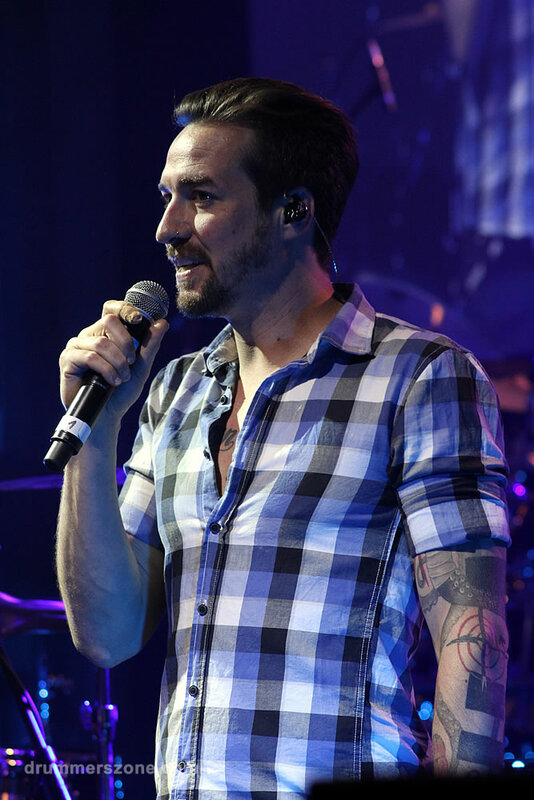 The festival took place at the Meinl Distribution Center in Gutenstetten, Germany on July 5th, 2014. 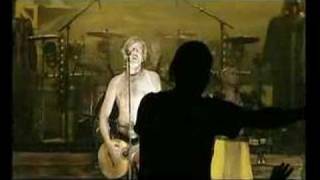 2001 Skaos | Soundtrack zum Film "Ride on"
Specki T.D. 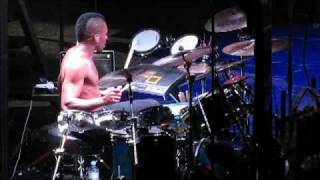 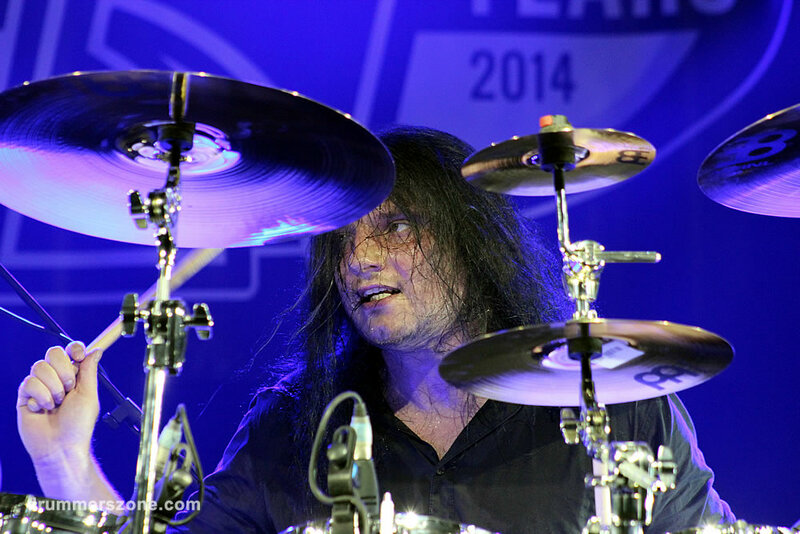 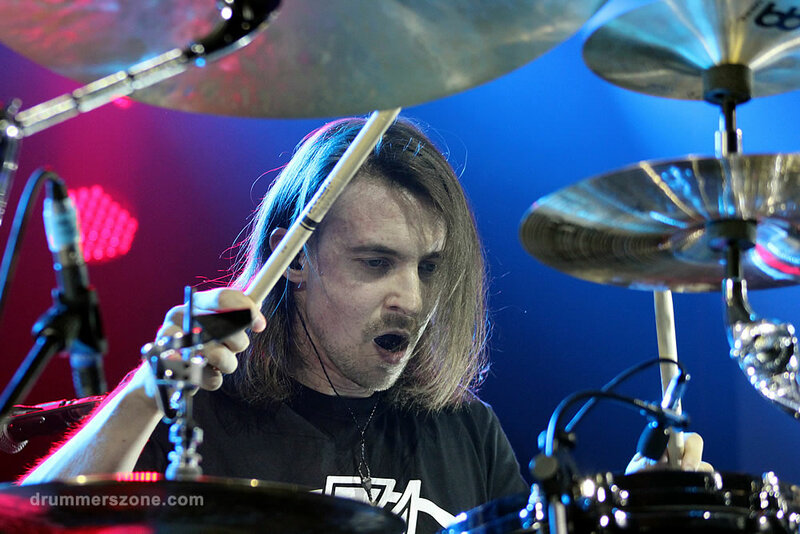 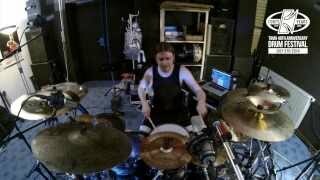 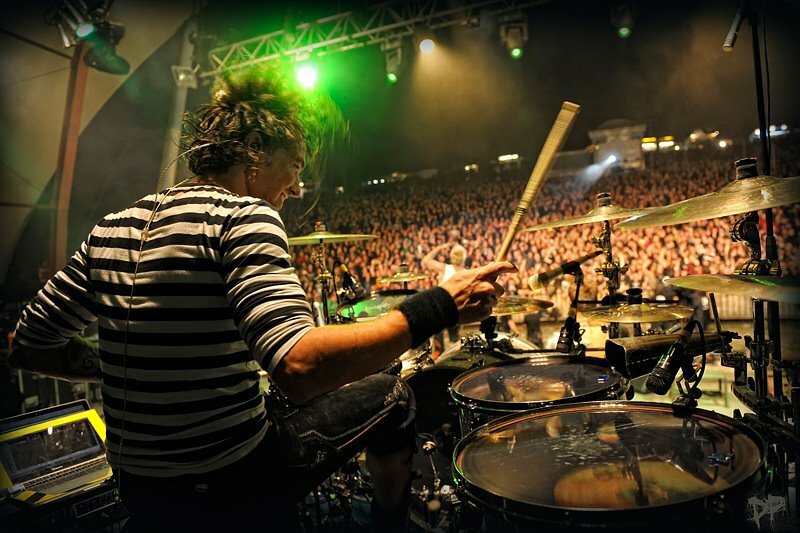 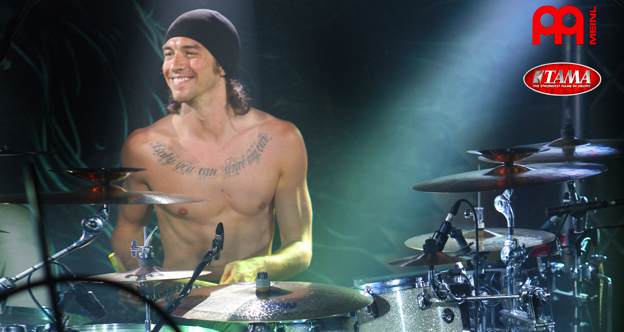 (real name: Florian Speckardt) is best known as drummer with In Extremo. 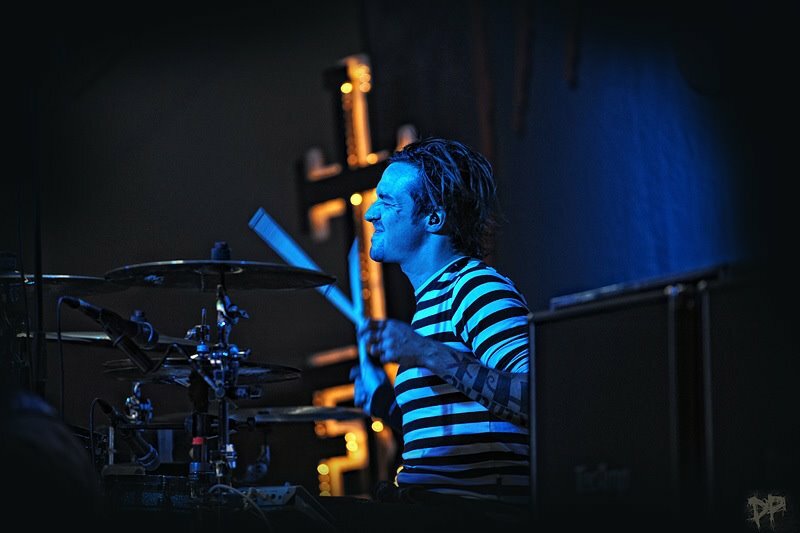 he joined the group in 2011. 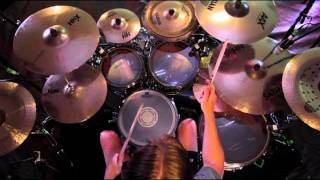 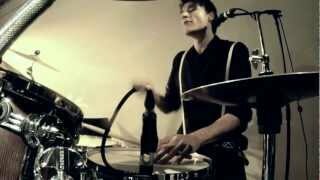 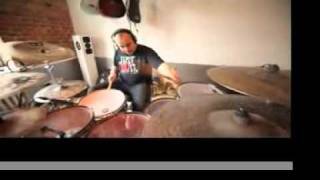 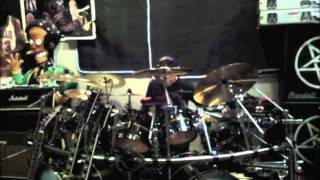 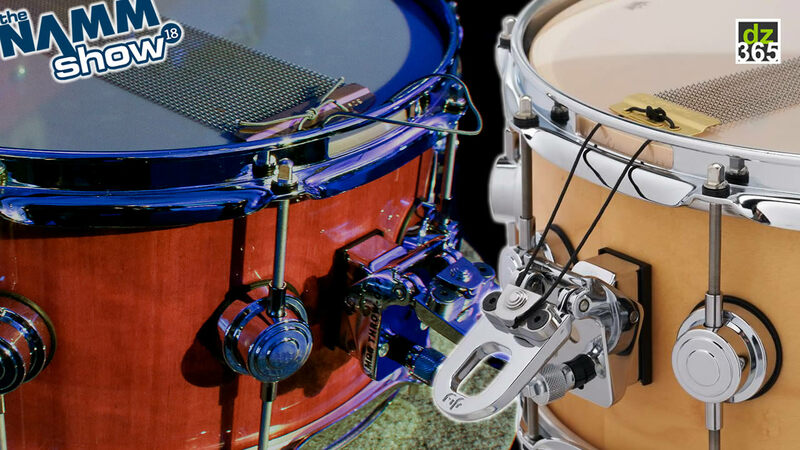 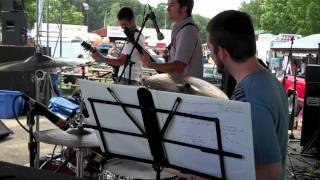 Florian Speckardt�s aka Specki T.D.�s drumming career begins early when he is given his first snare drum at the age of 3. 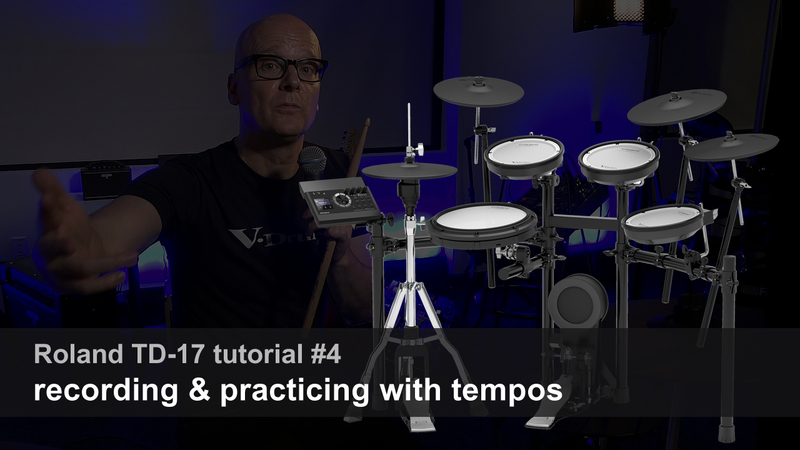 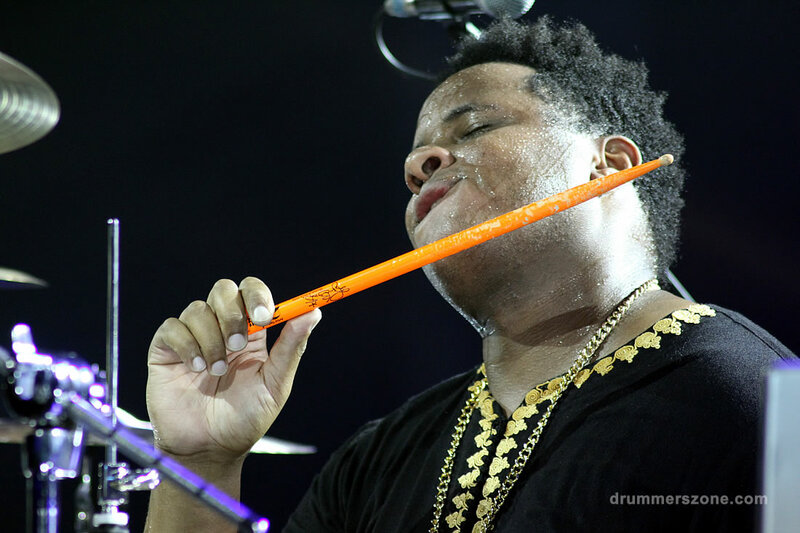 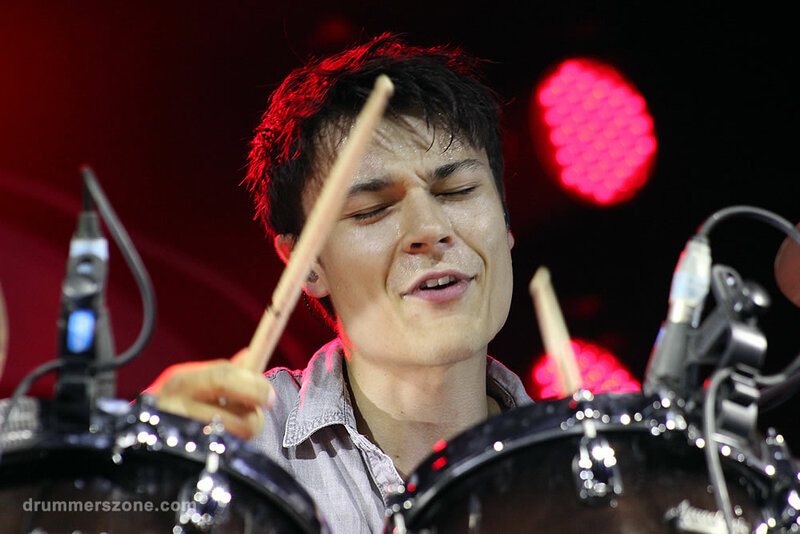 He starts practicing diligently and consistently, starts to take lessons a few years later, plays his first live-gigs at the age of 9, wins newcomer competitions and starts to study at the Munich-based music school �drummer�s focus� at the age of 17. 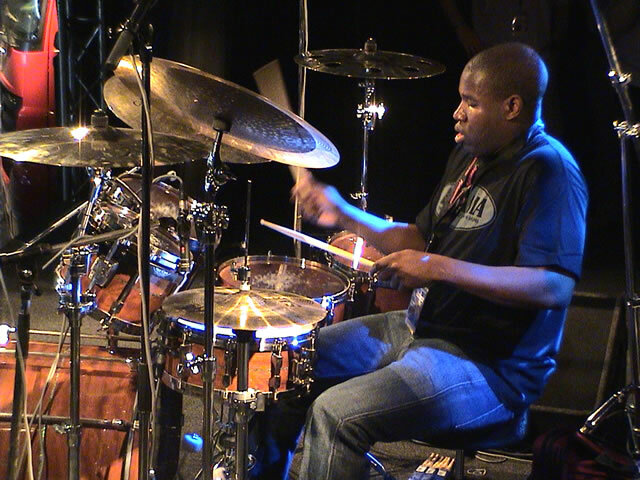 He hosts his first drum clinics and becomes a teacher himself. 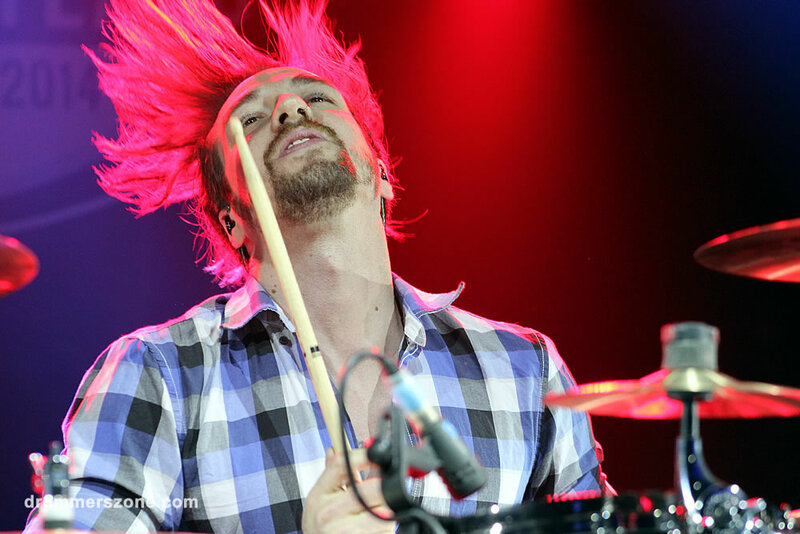 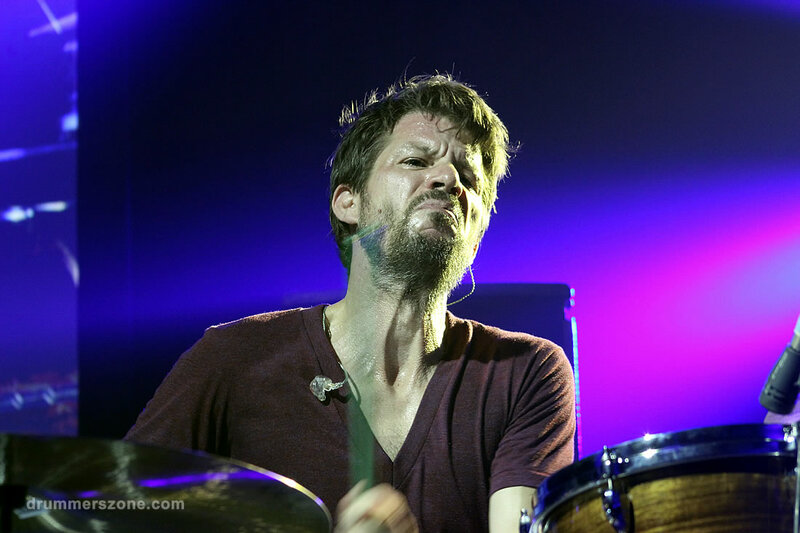 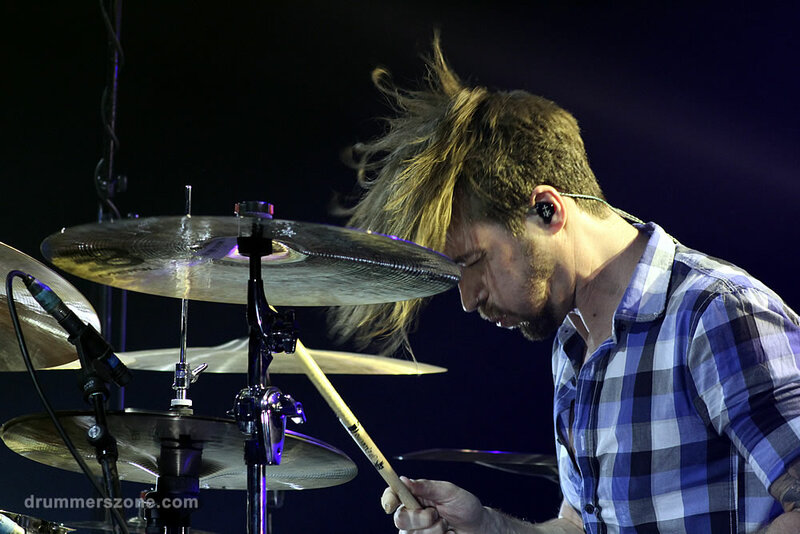 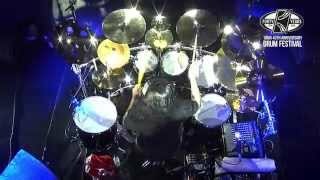 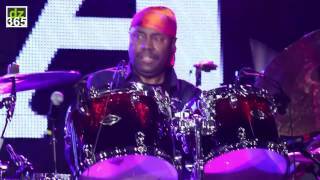 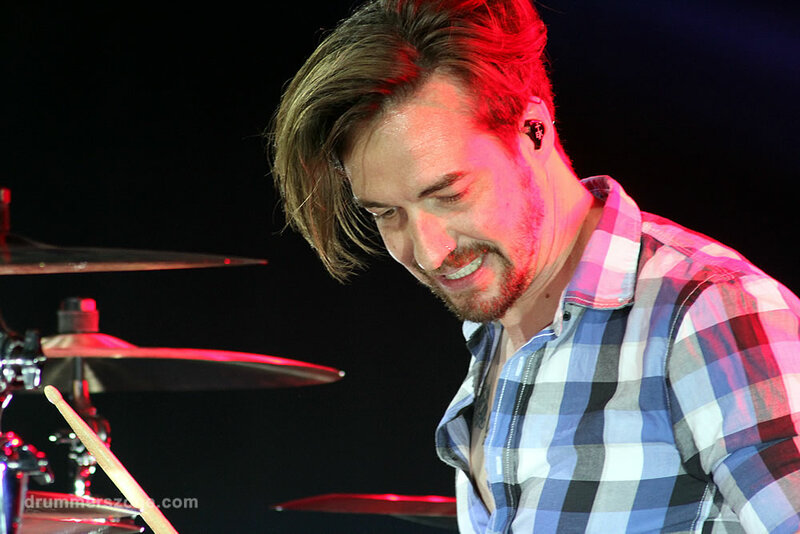 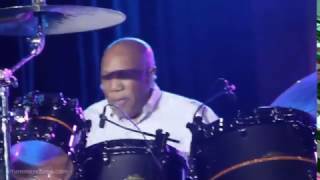 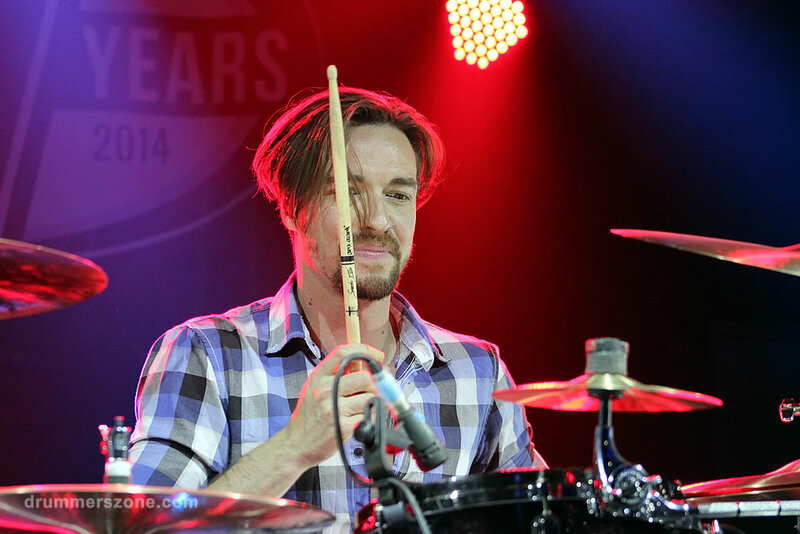 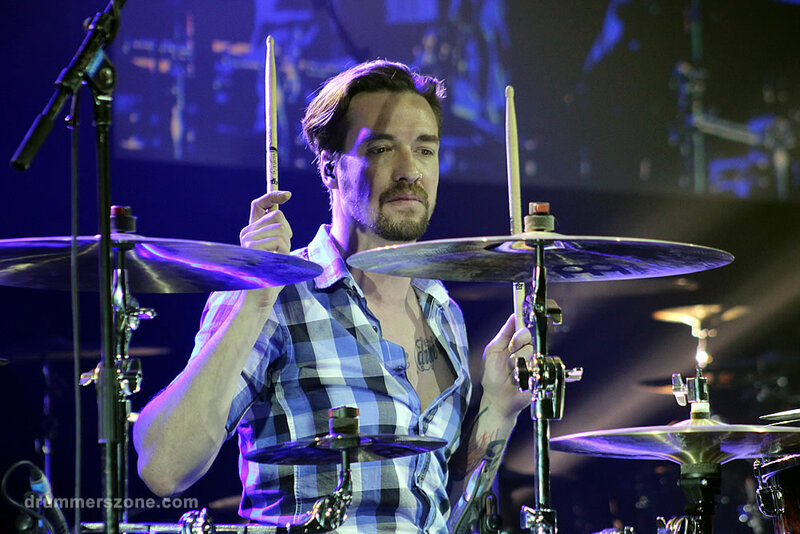 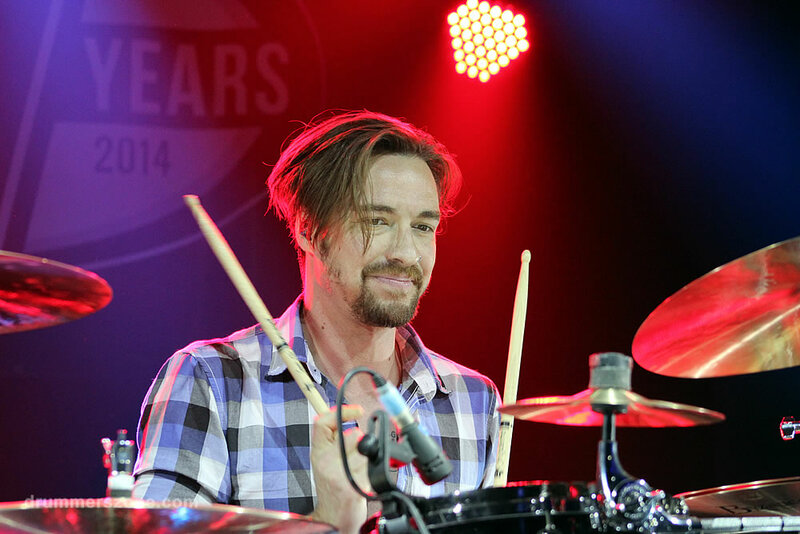 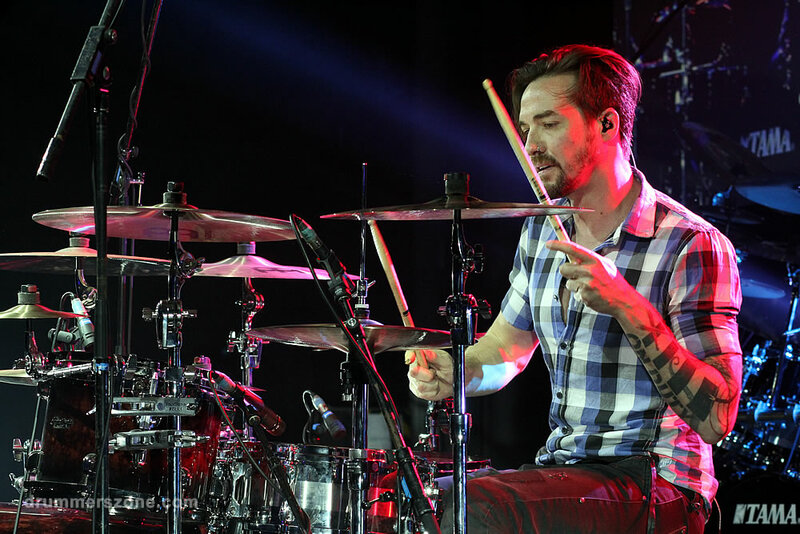 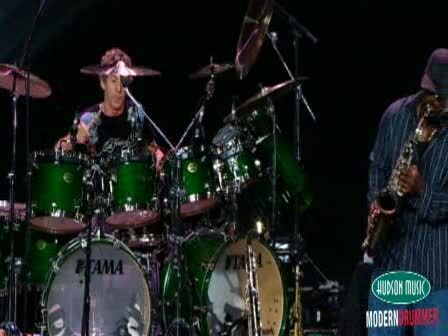 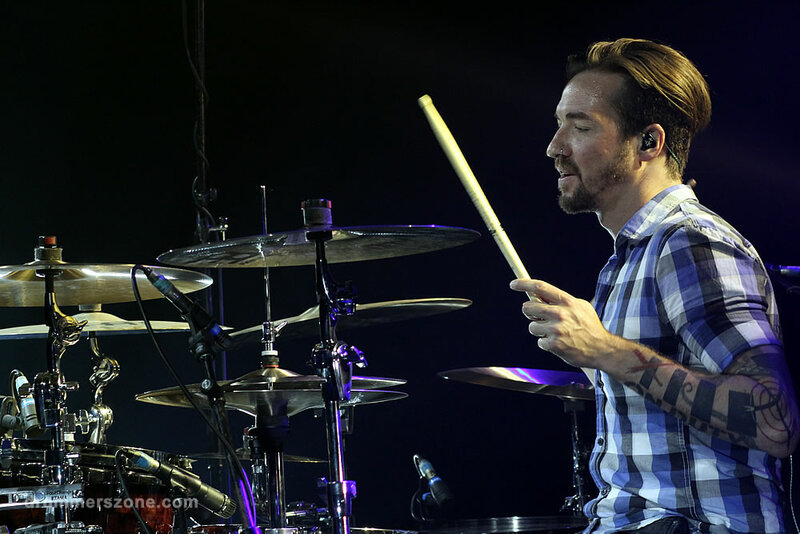 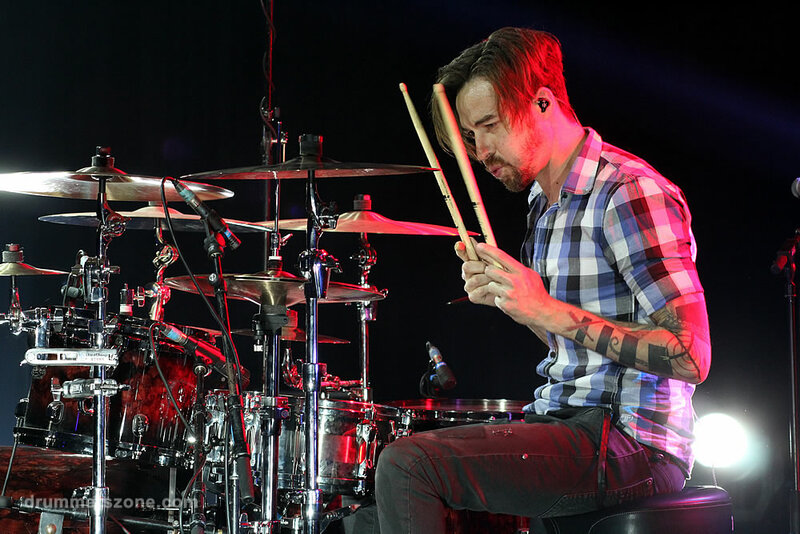 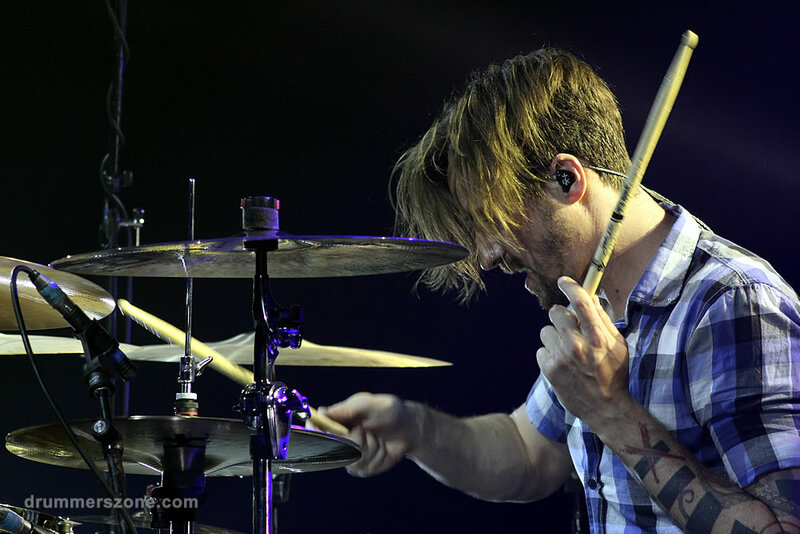 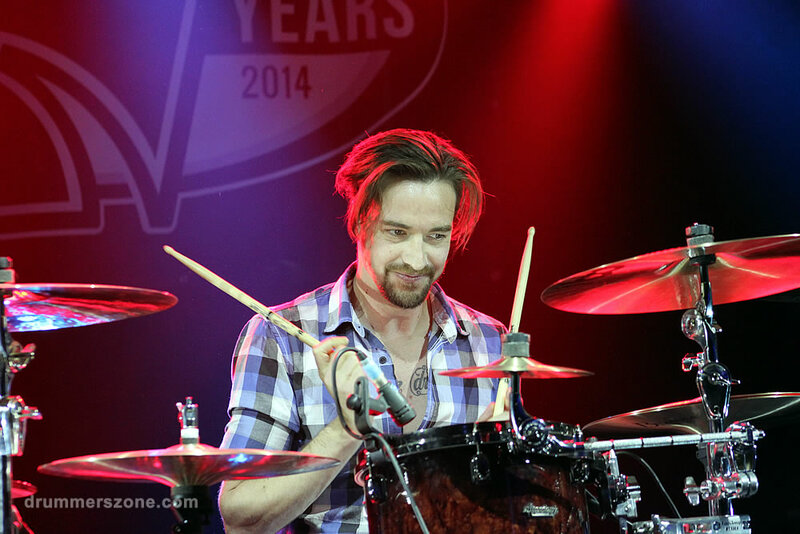 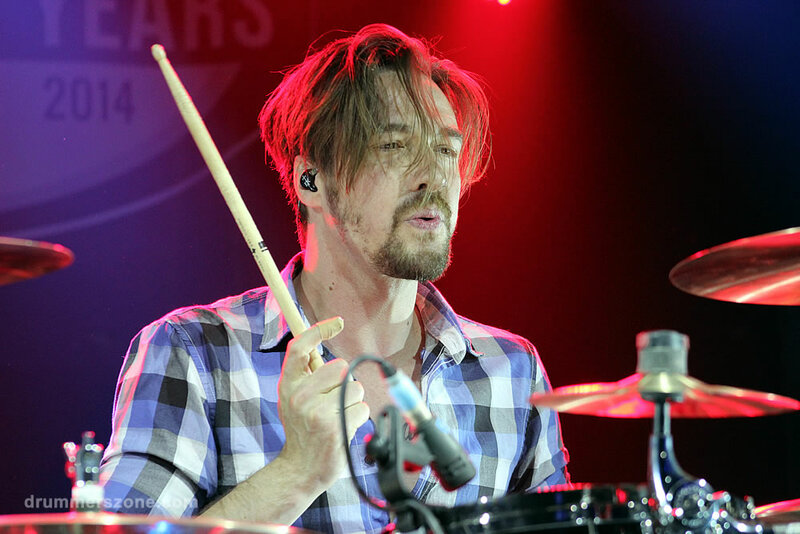 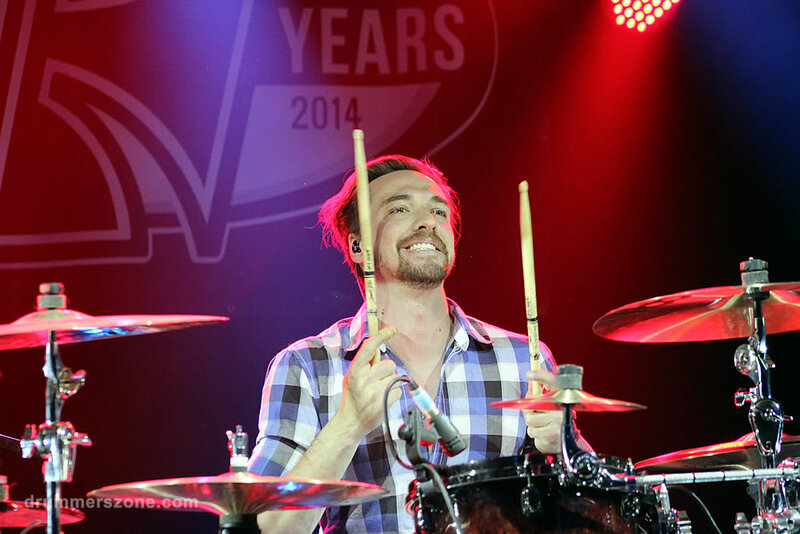 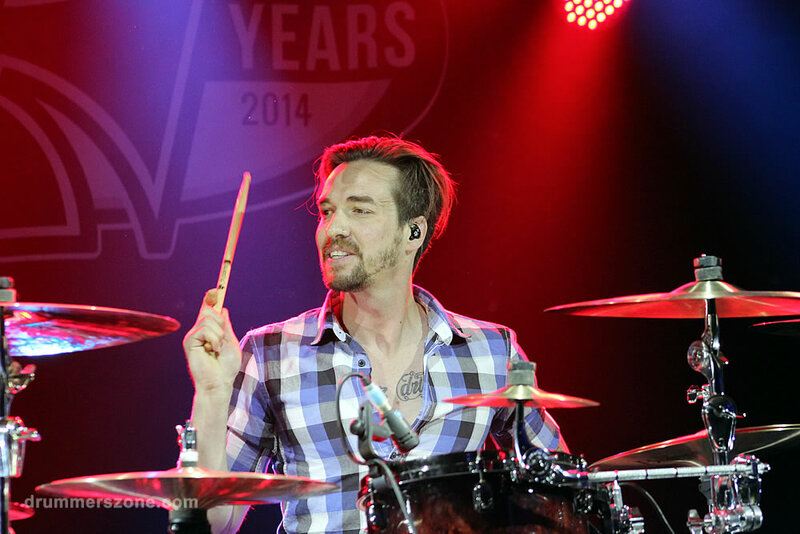 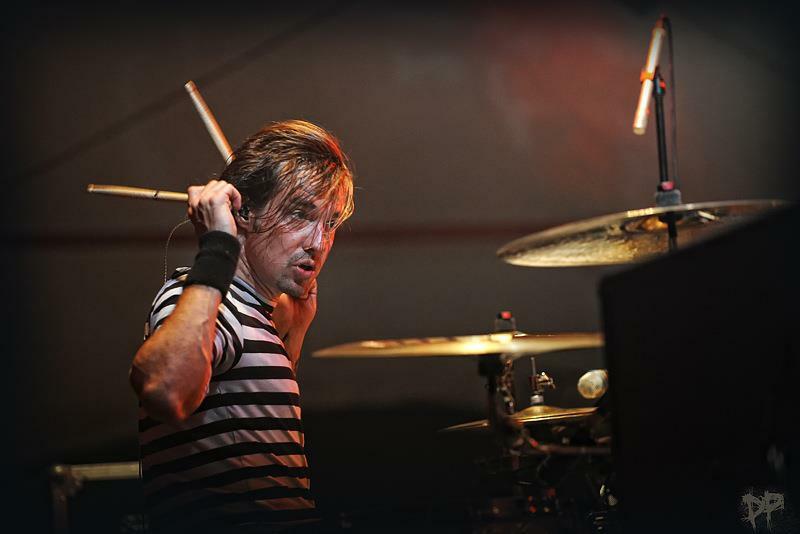 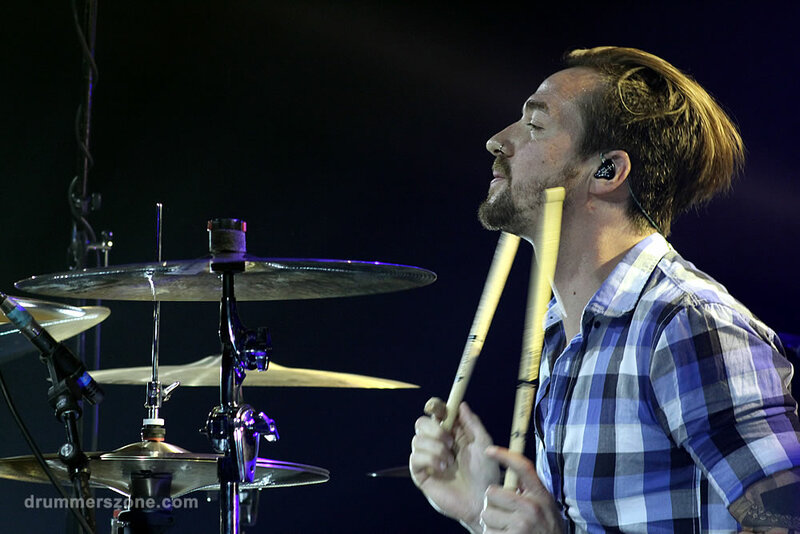 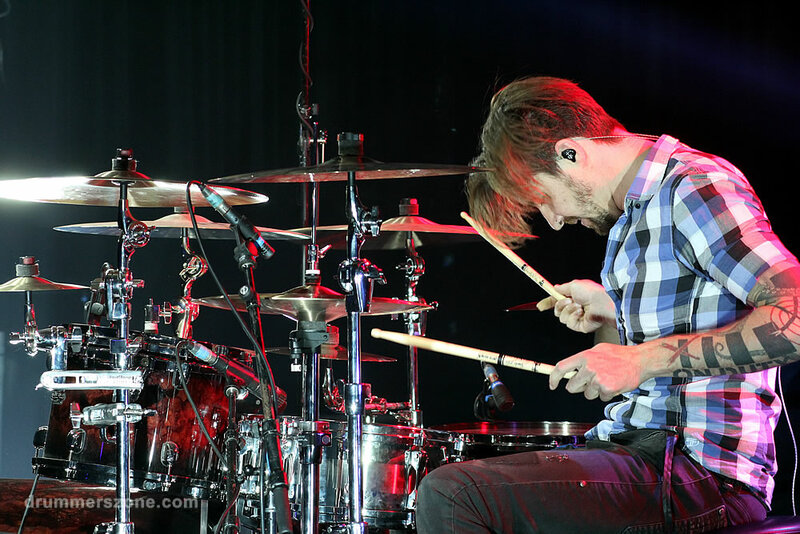 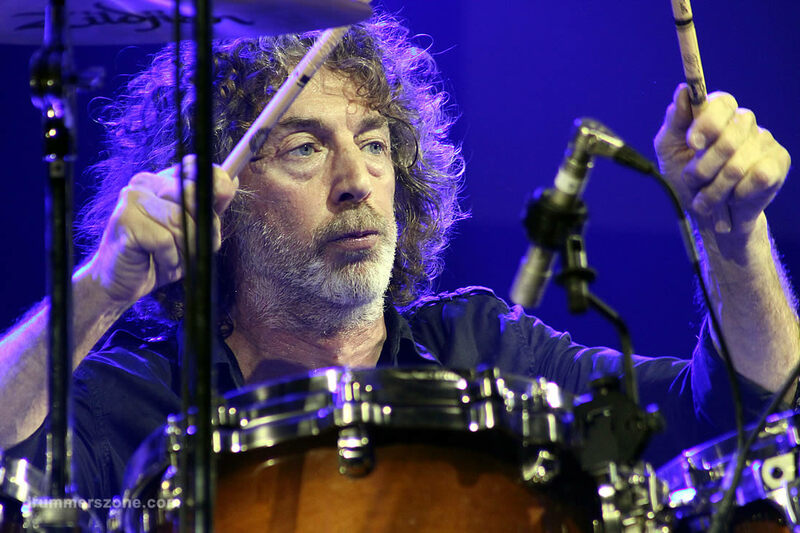 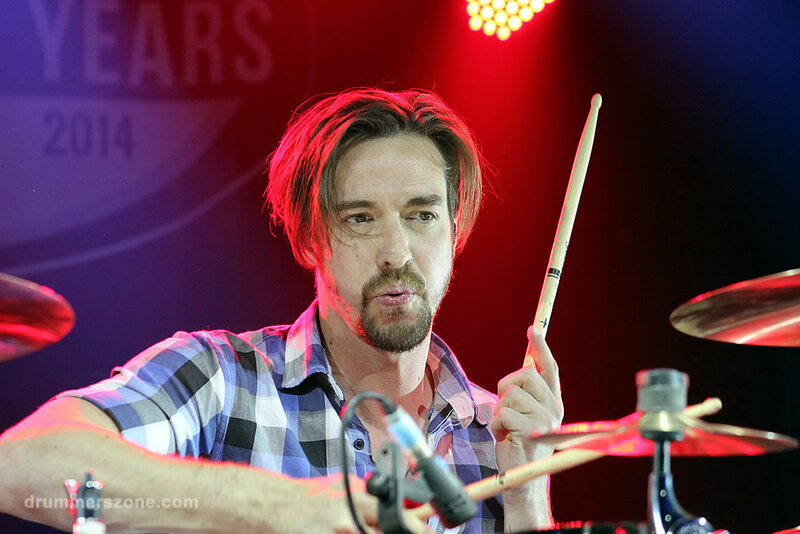 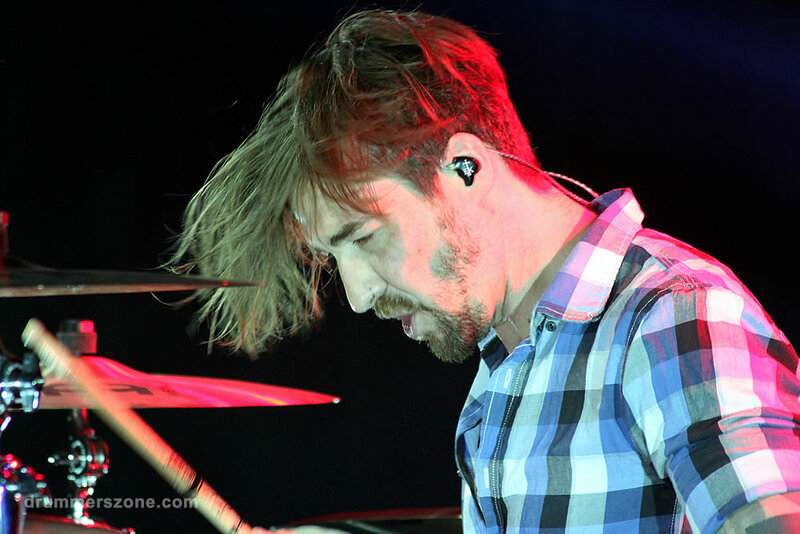 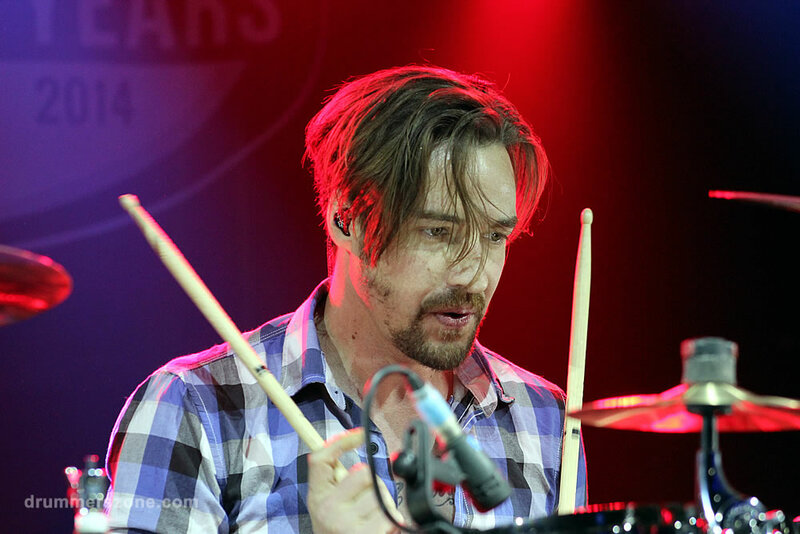 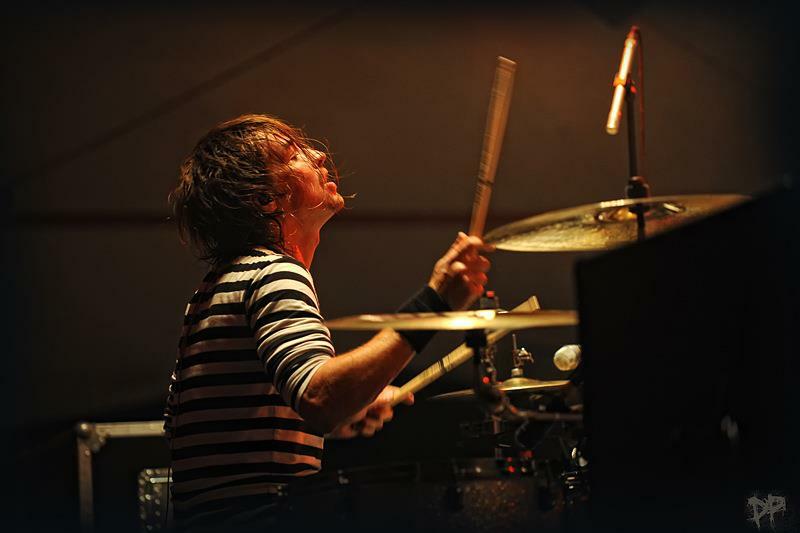 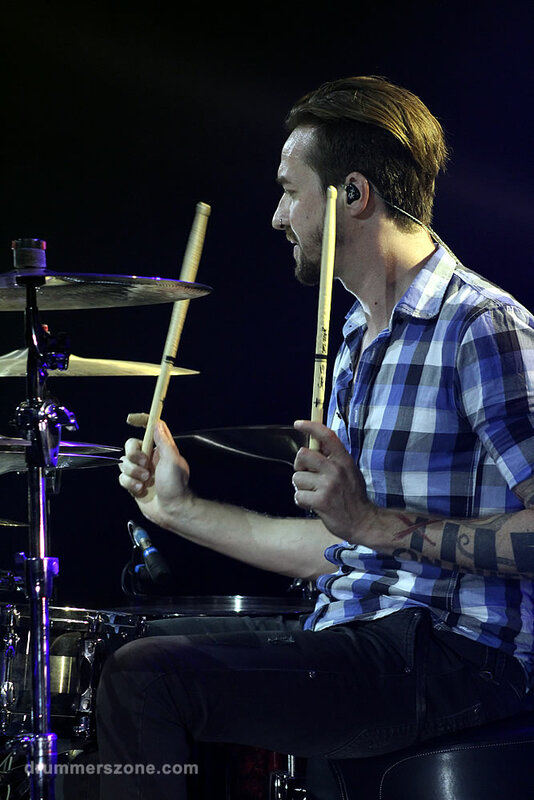 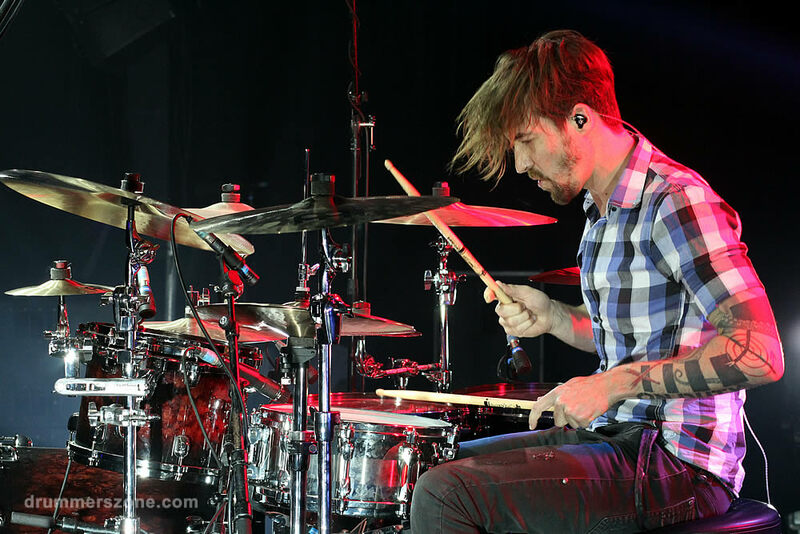 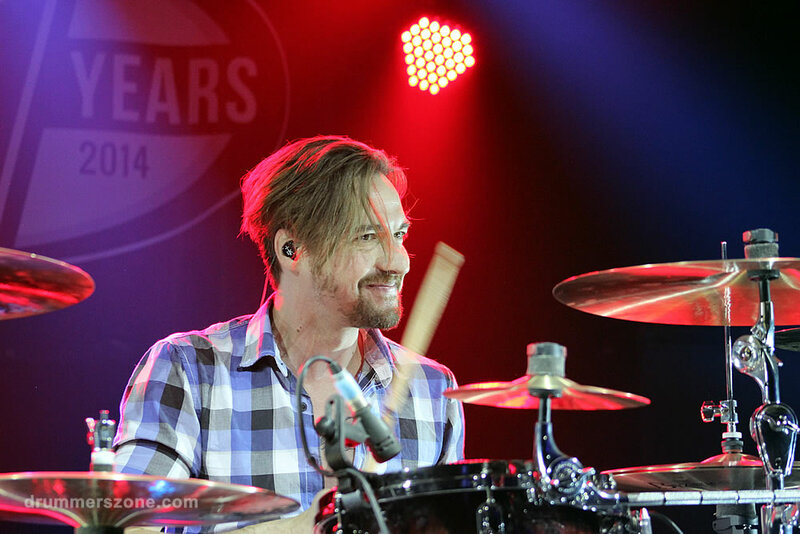 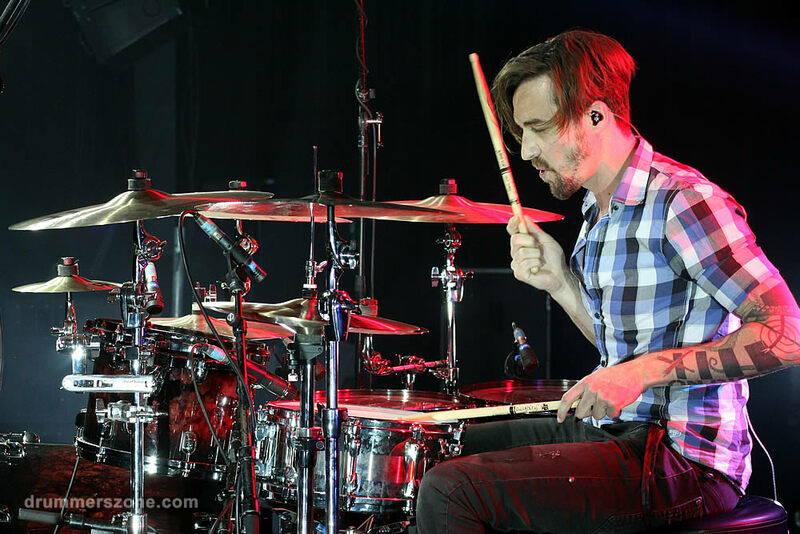 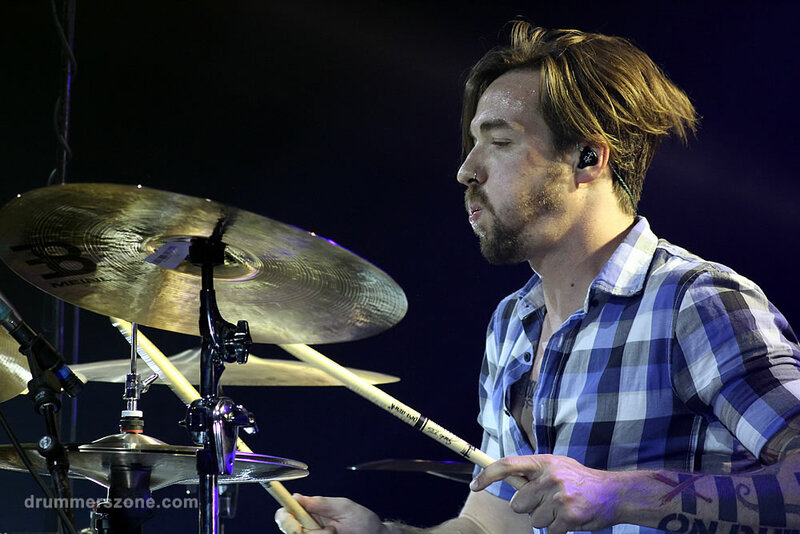 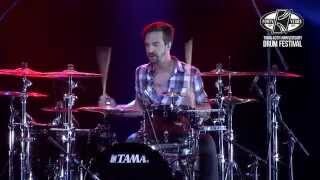 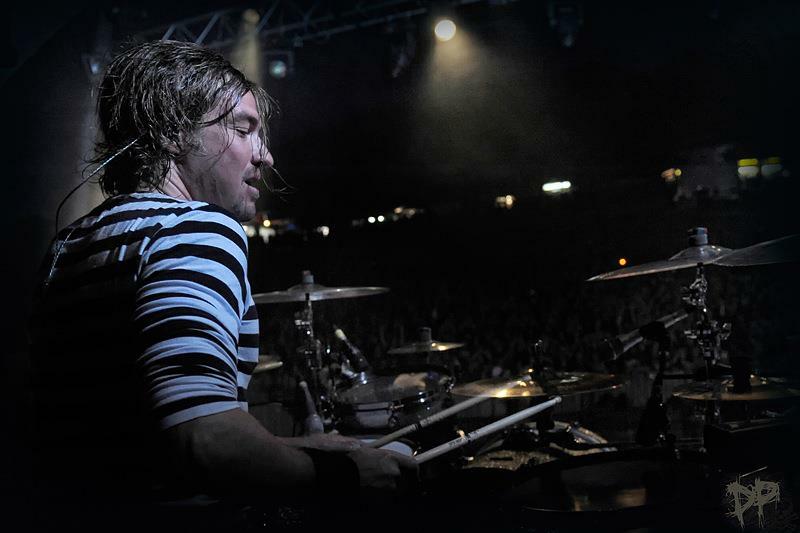 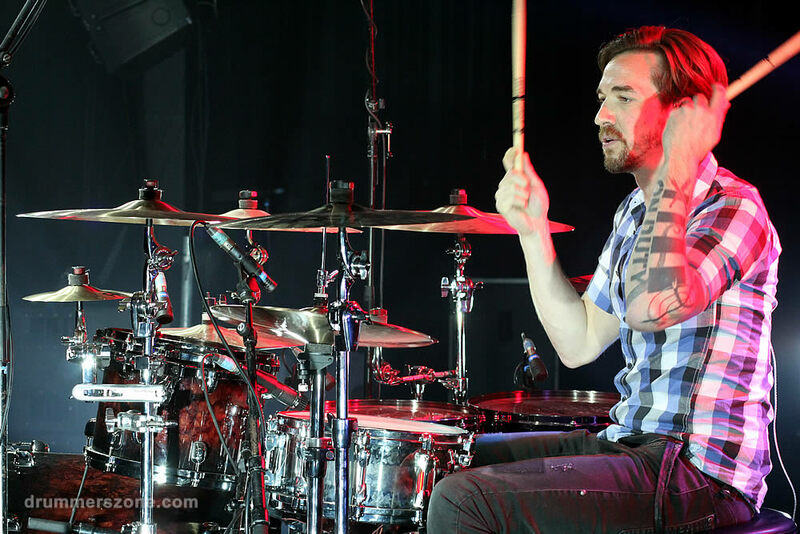 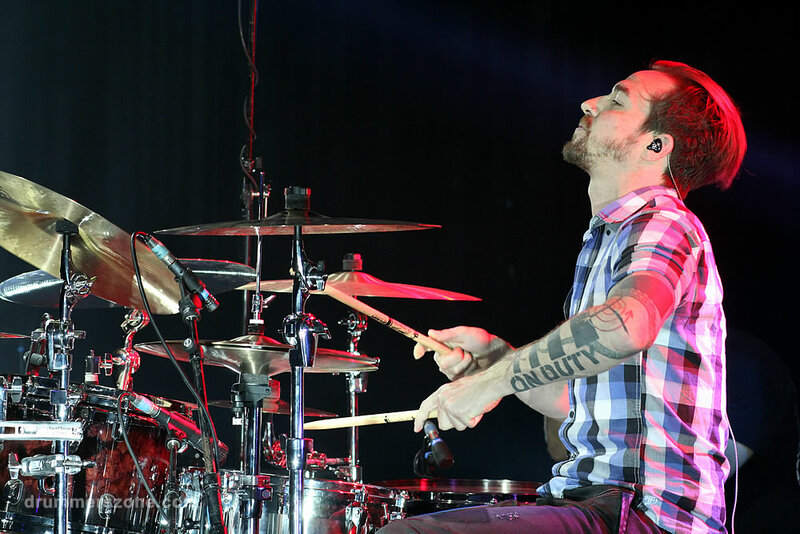 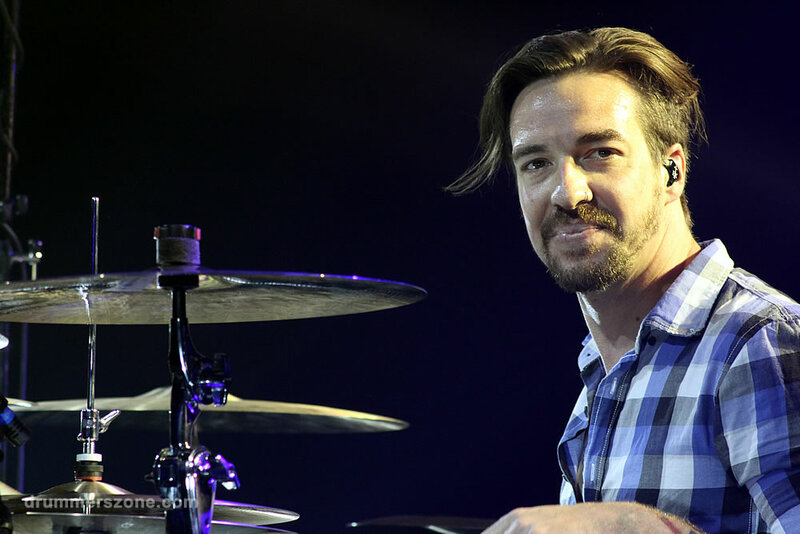 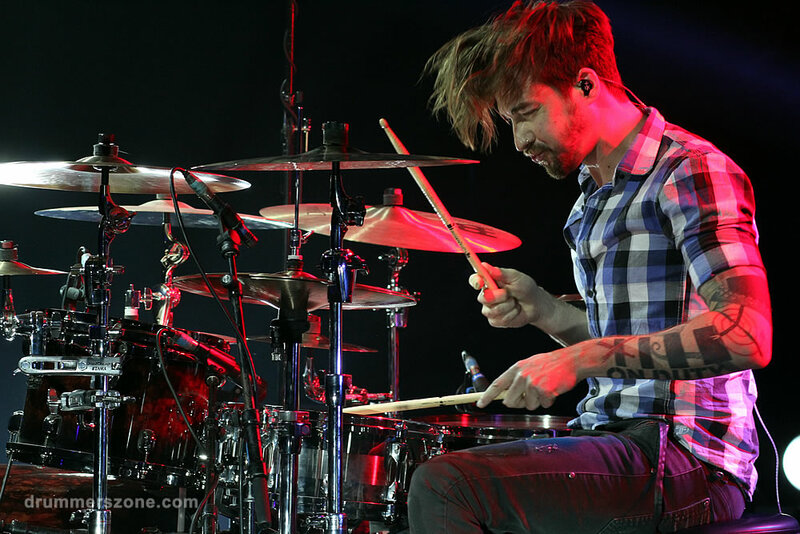 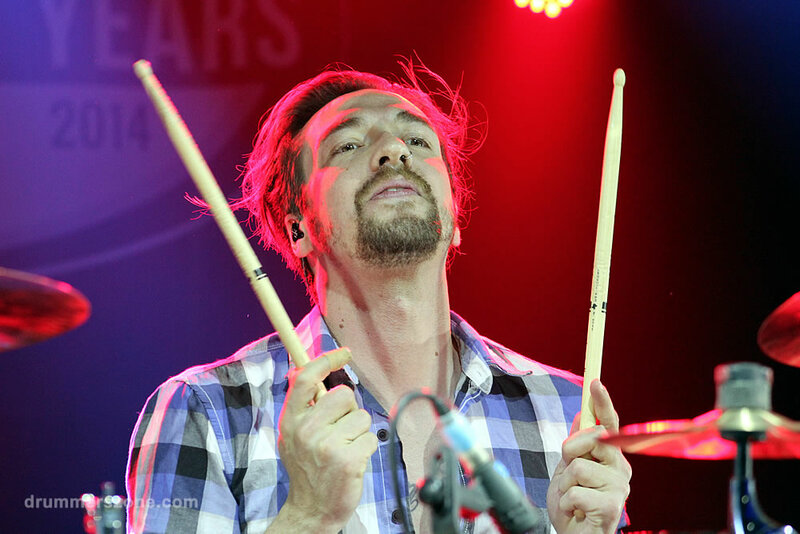 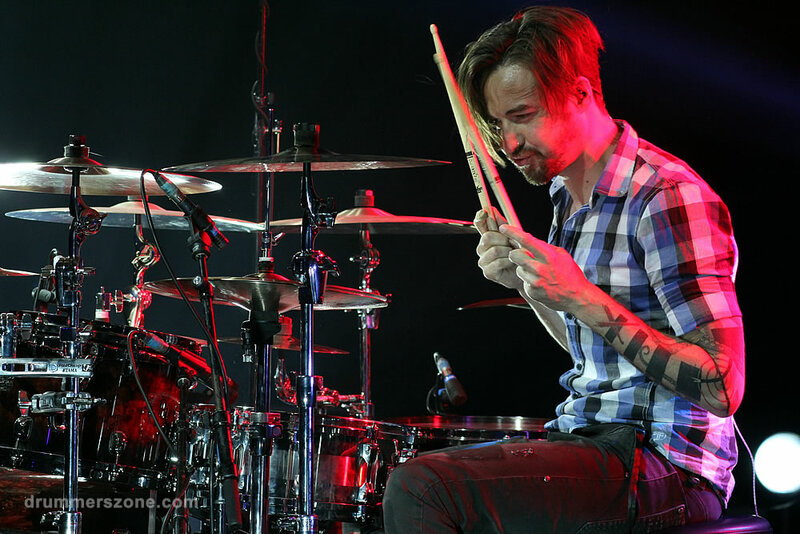 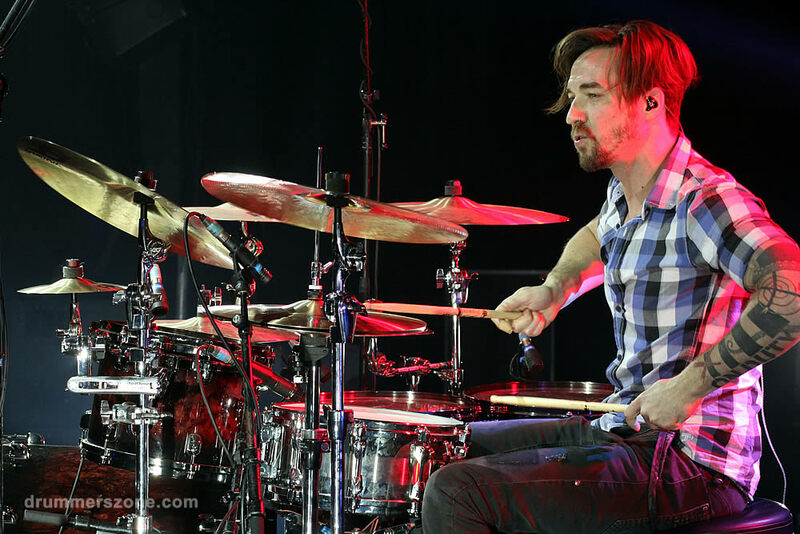 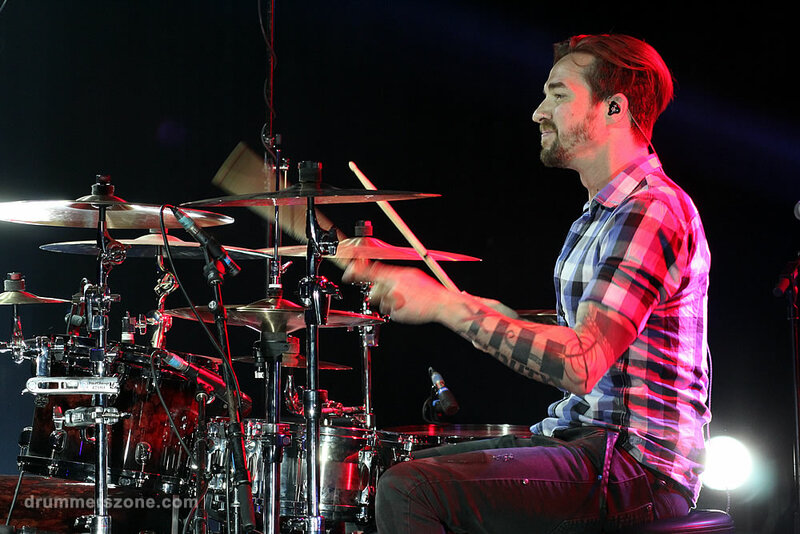 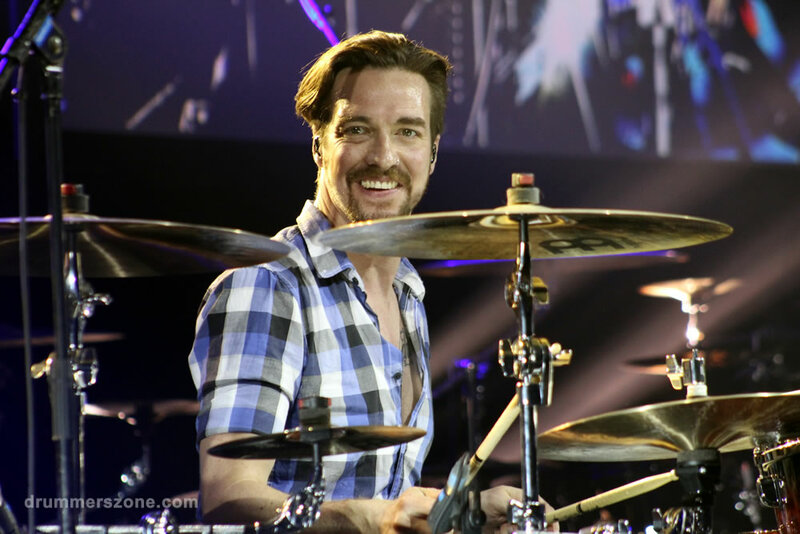 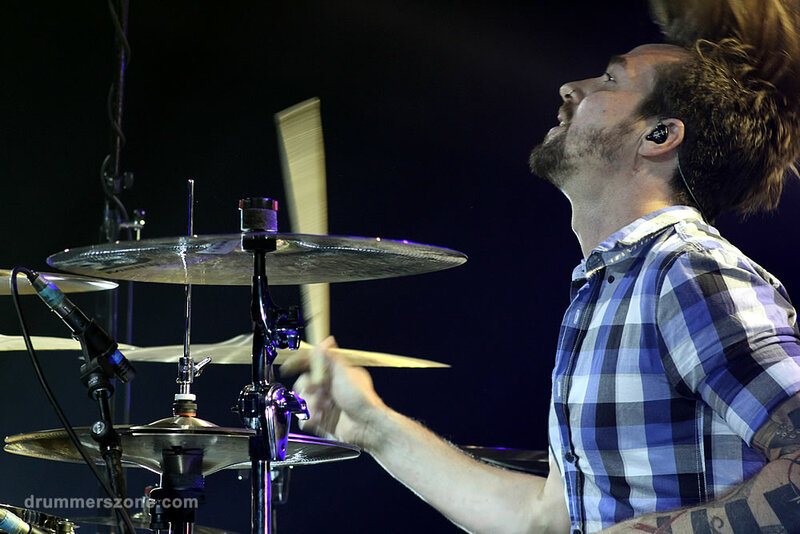 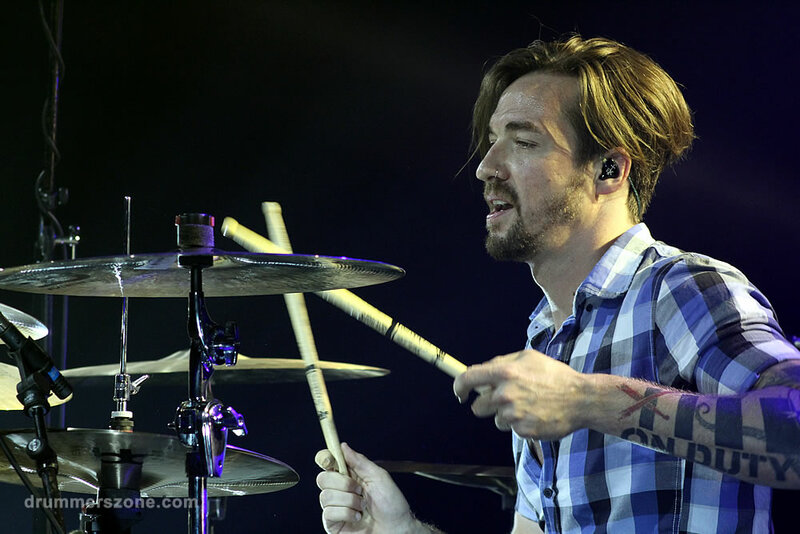 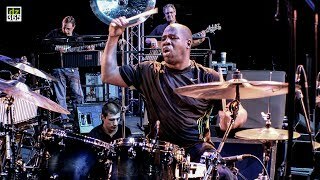 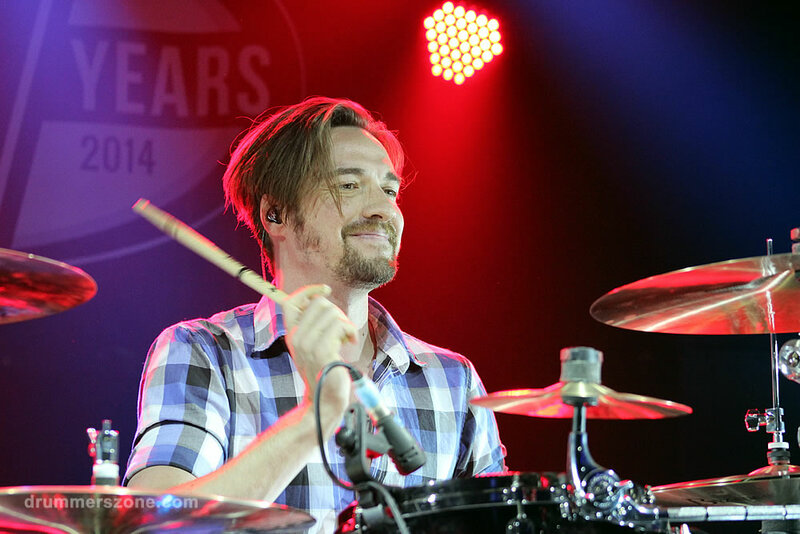 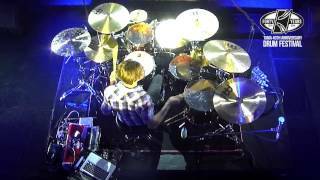 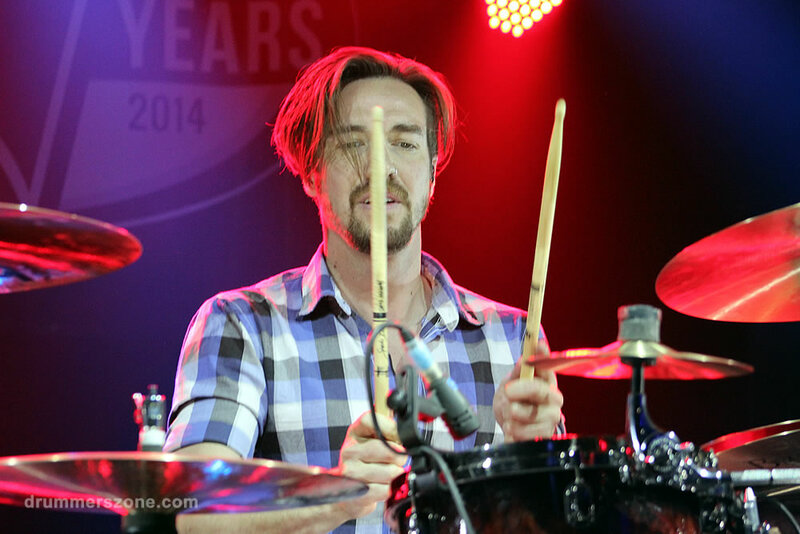 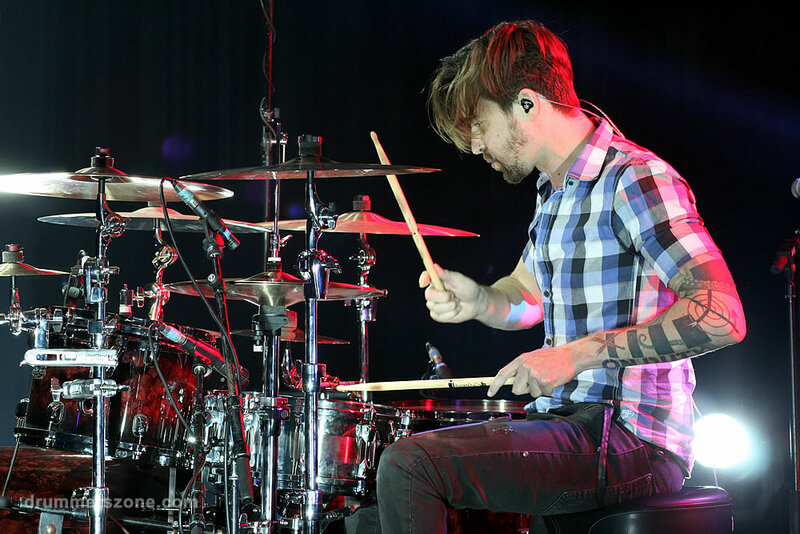 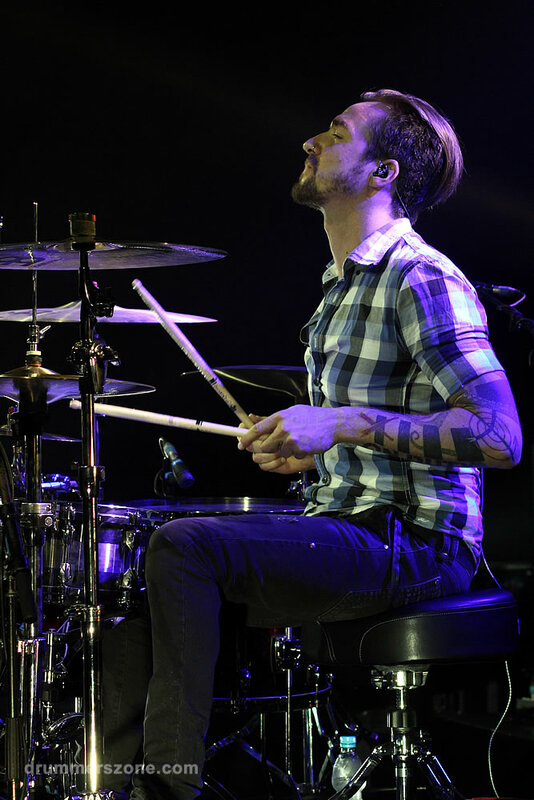 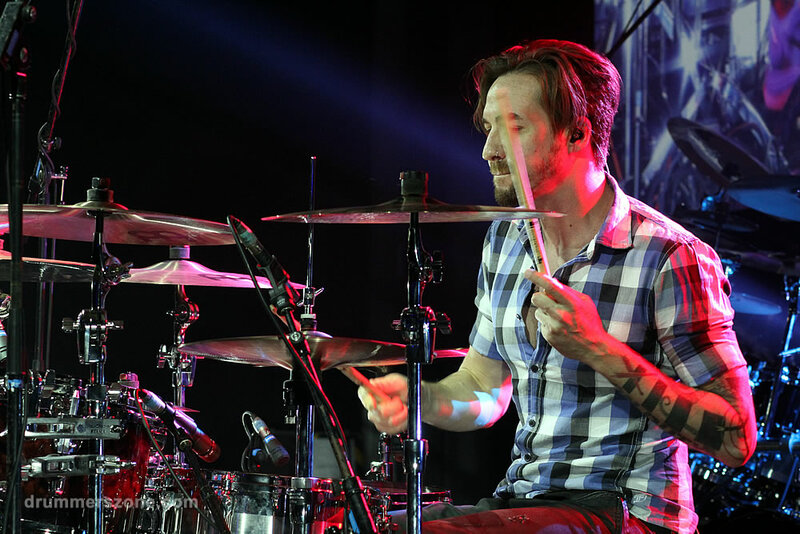 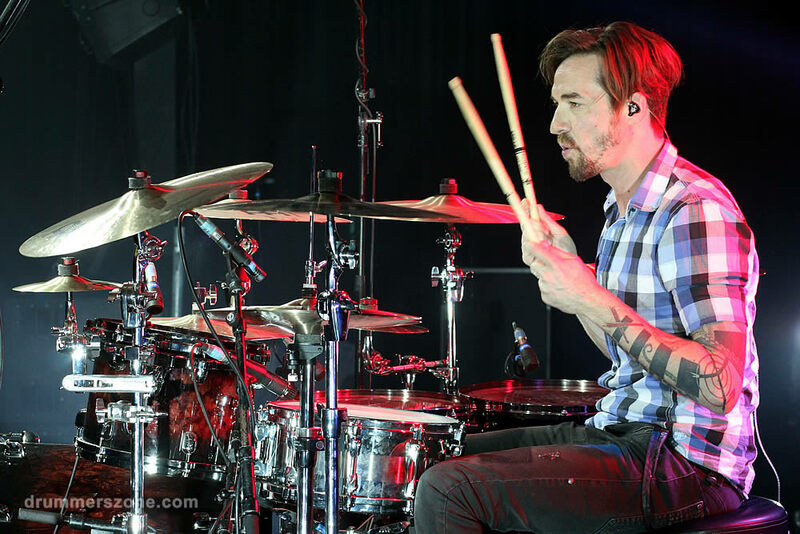 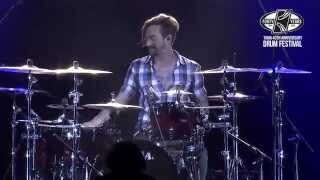 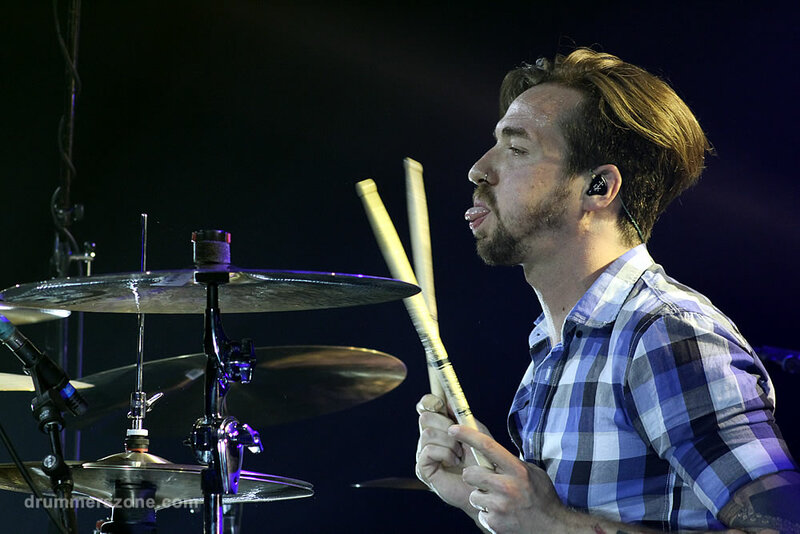 Being on tour in the US with rock musician Jackson Browne, Florian receives his nickname �Specki T.D.� and decides to become a professional drummer. 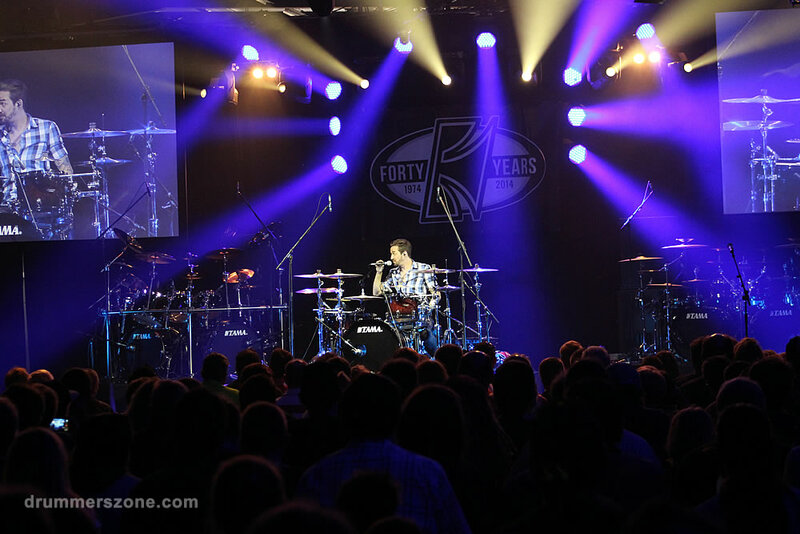 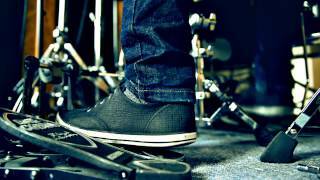 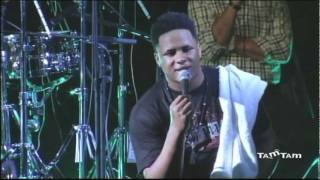 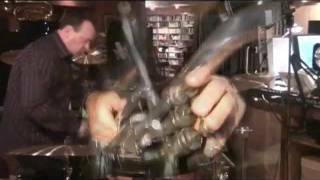 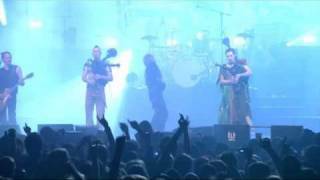 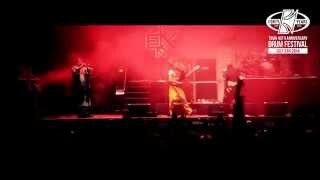 In 1997, Specki joins Germany�s leading ska band Skaos at the age of 18. 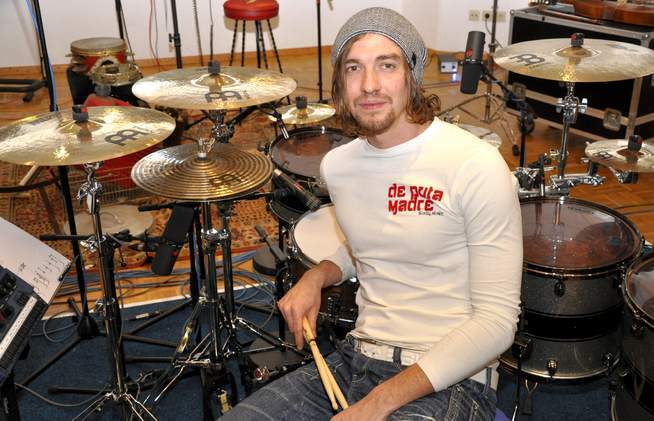 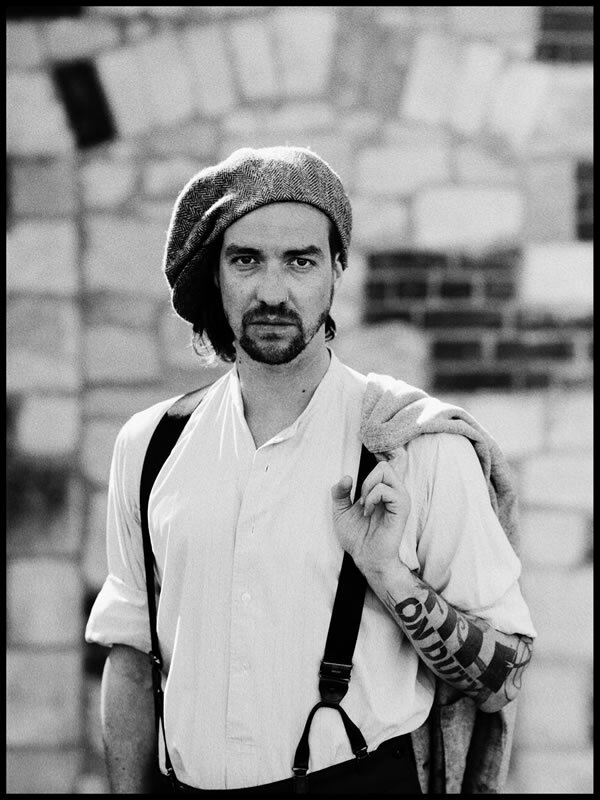 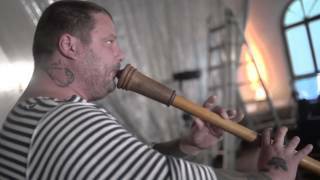 Five years later, he also joins the Dresden-based folk-rock band Letzte Instanz. 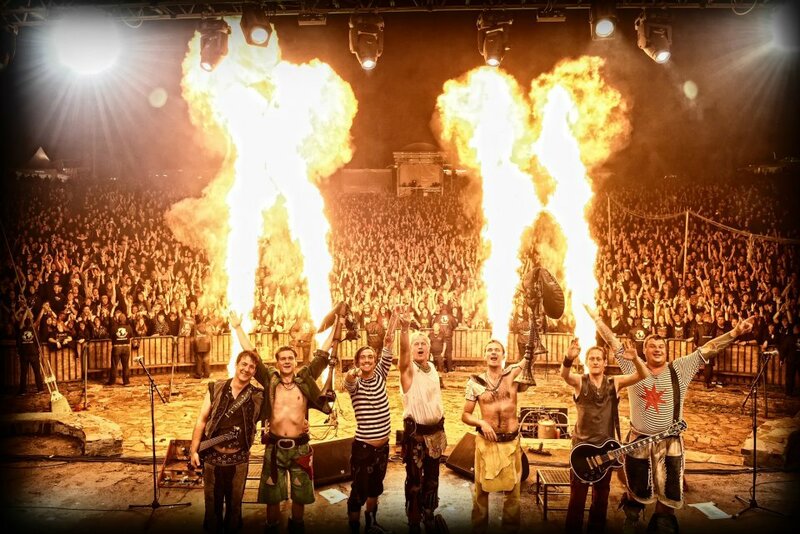 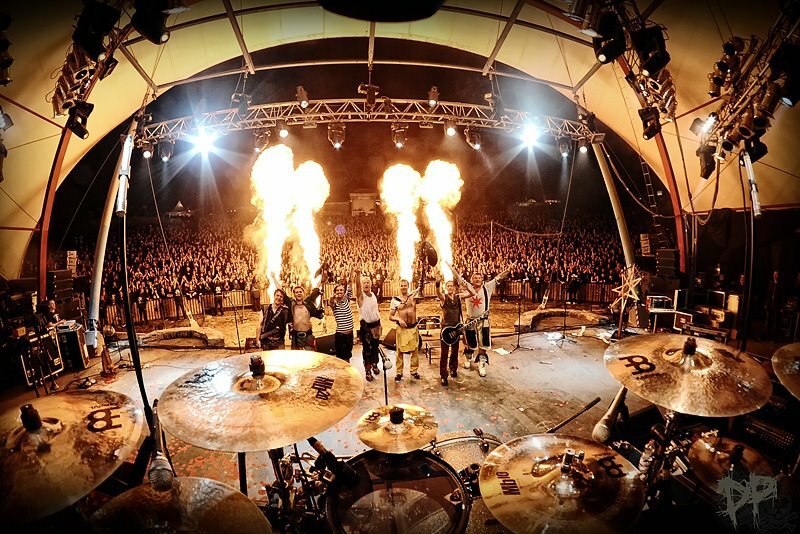 After eight years, three albums, a Live-DVD/CD, several tours and appearances at all the major European open-air festivals with Letzte Instanz, Specki switches to In Extremo in 2010. 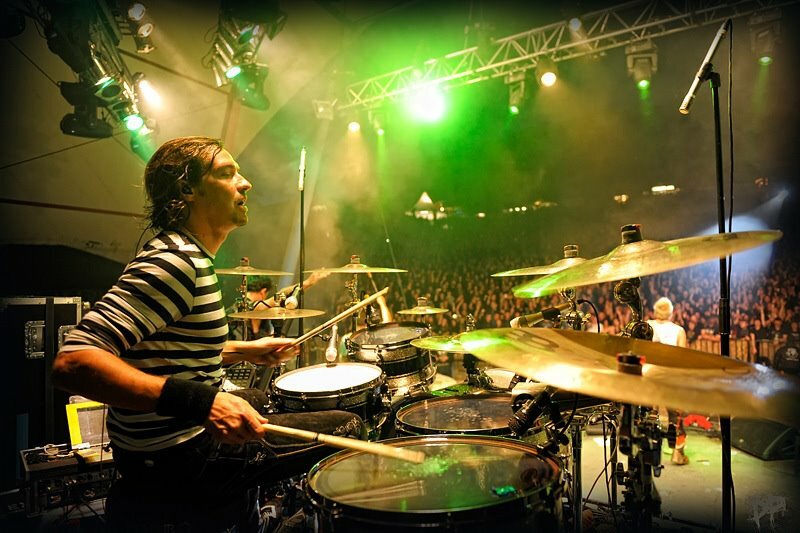 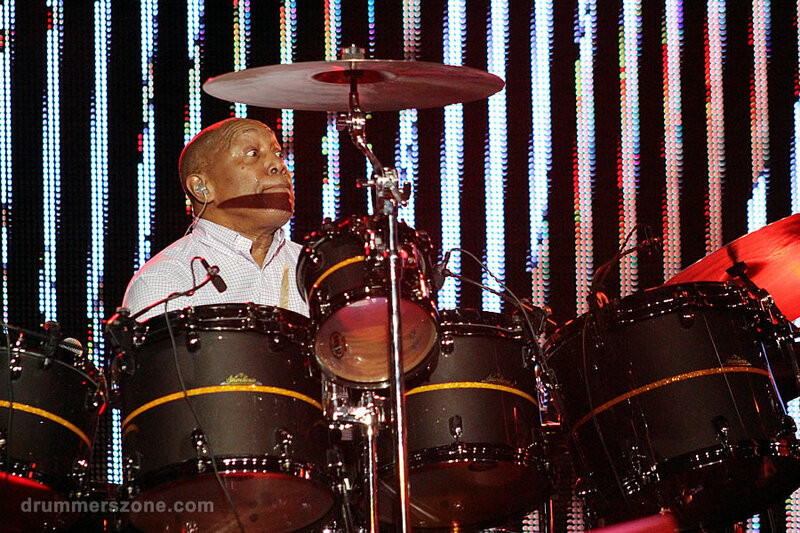 With his immense experience in both live and studio drumming, he is a great addition to the artist roster of the festival.